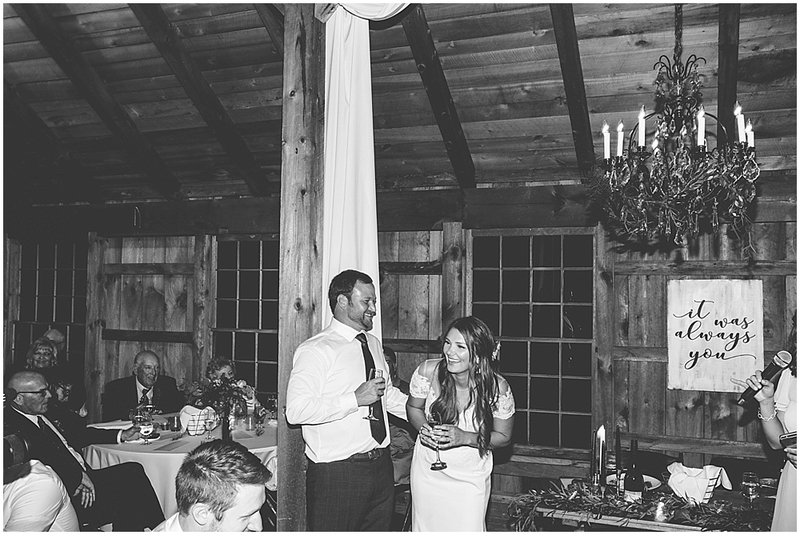 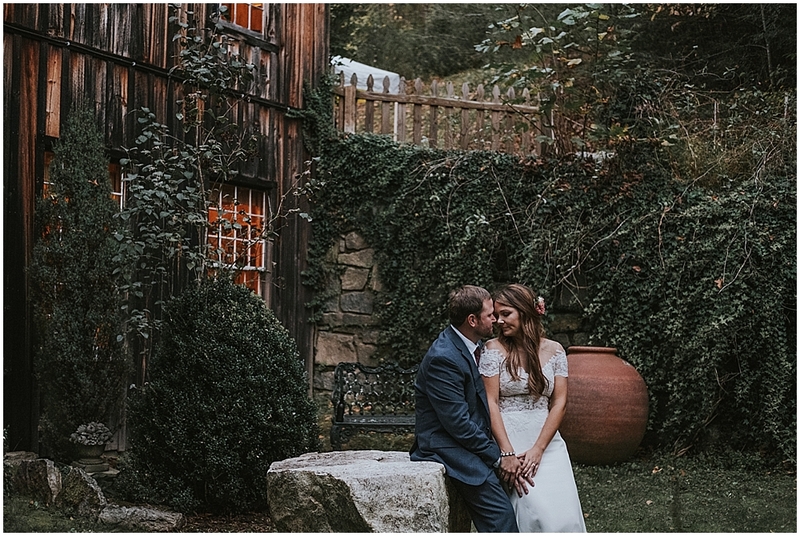 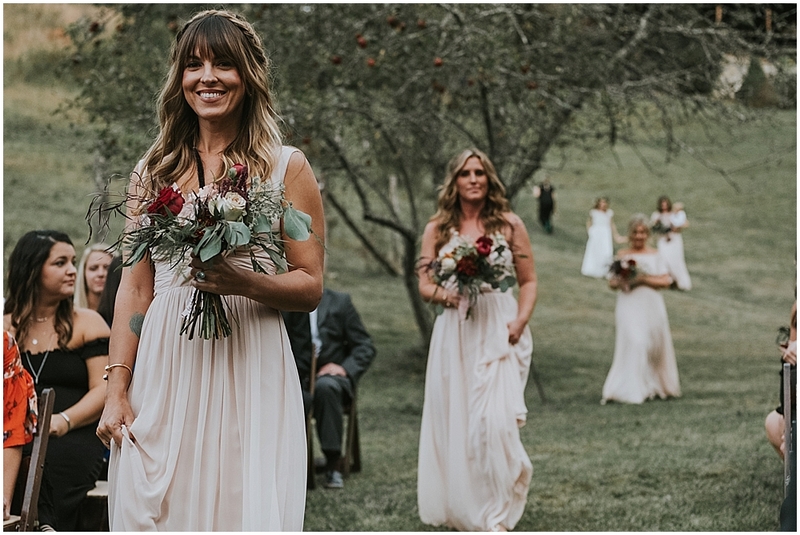 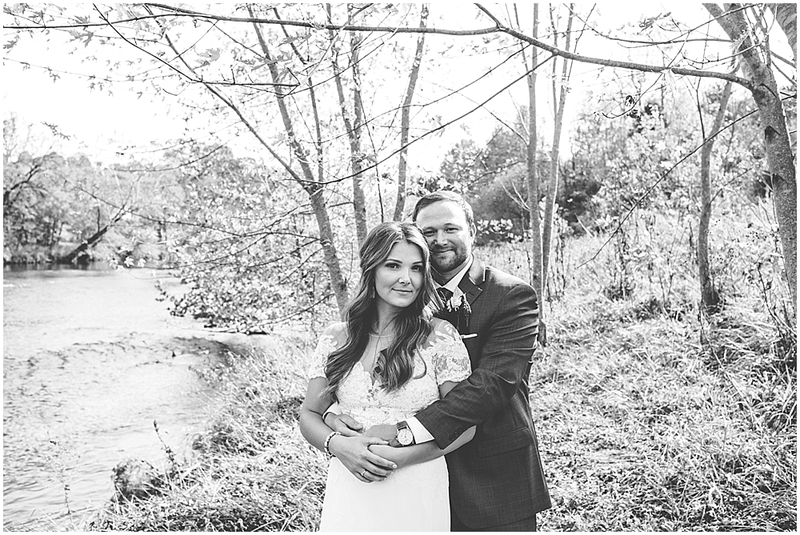 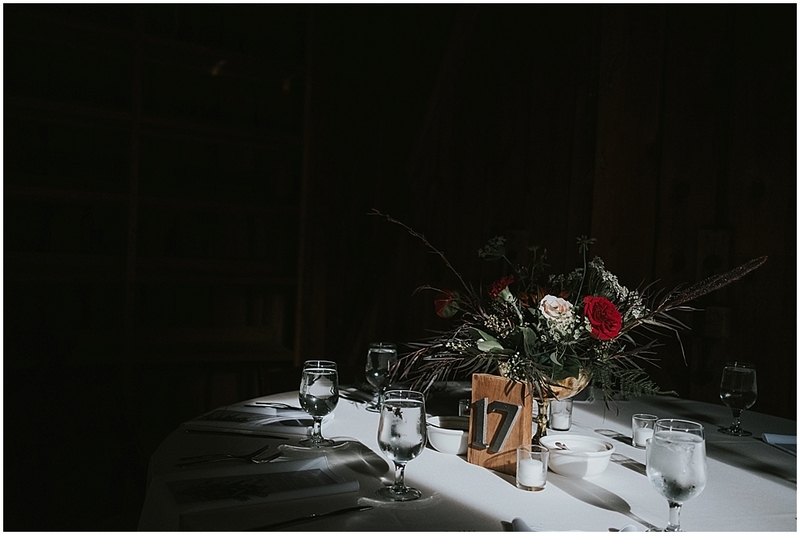 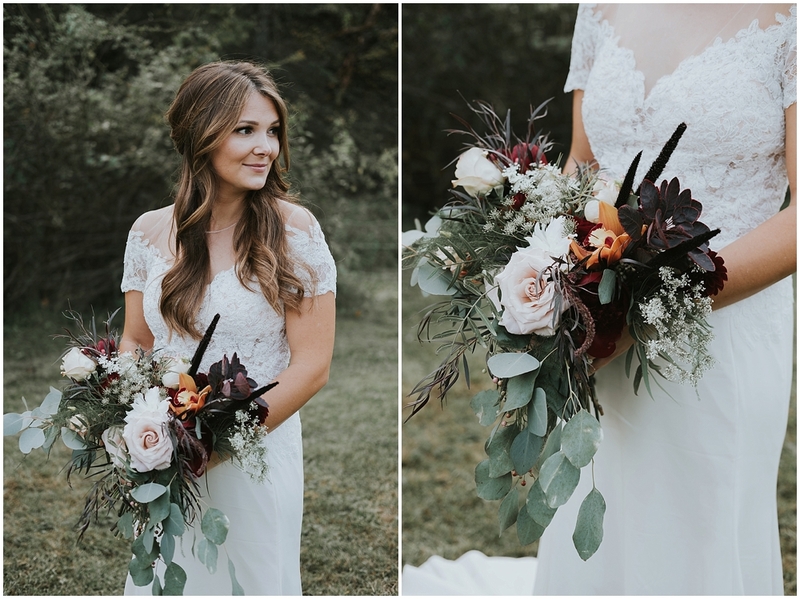 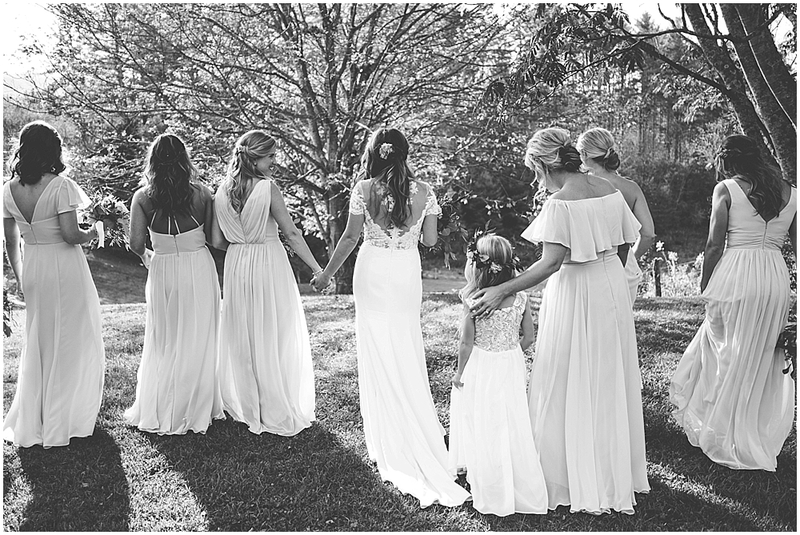 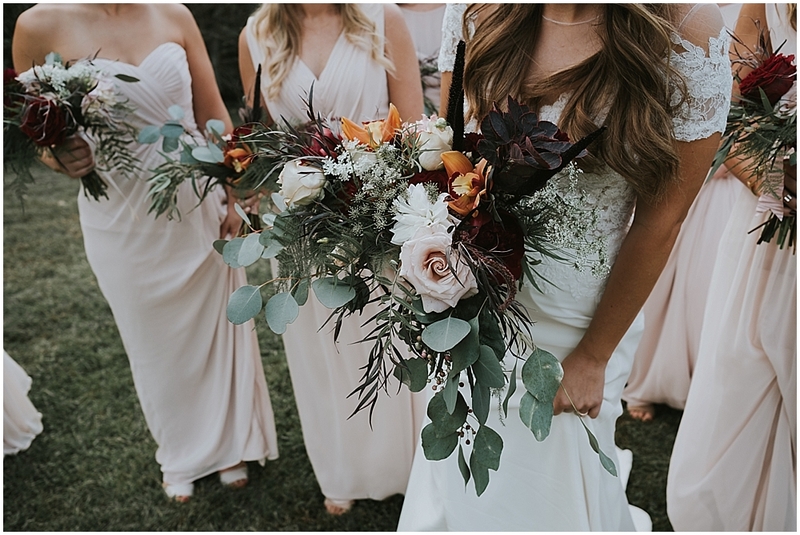 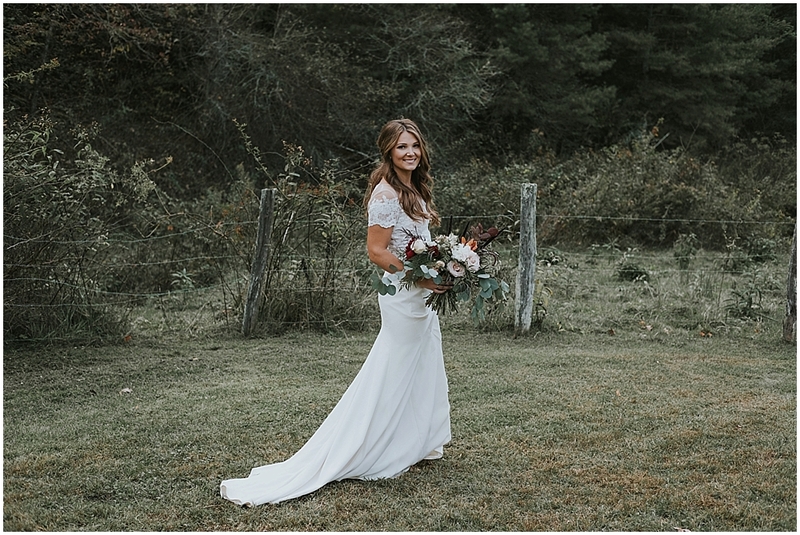 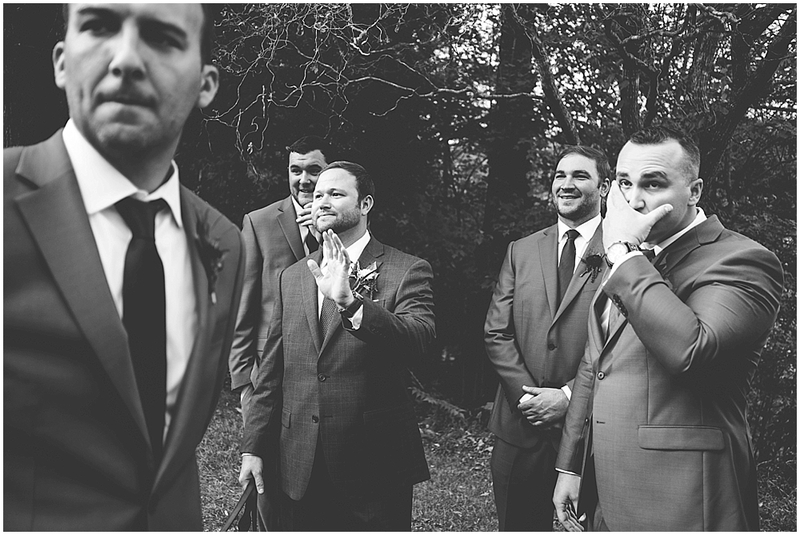 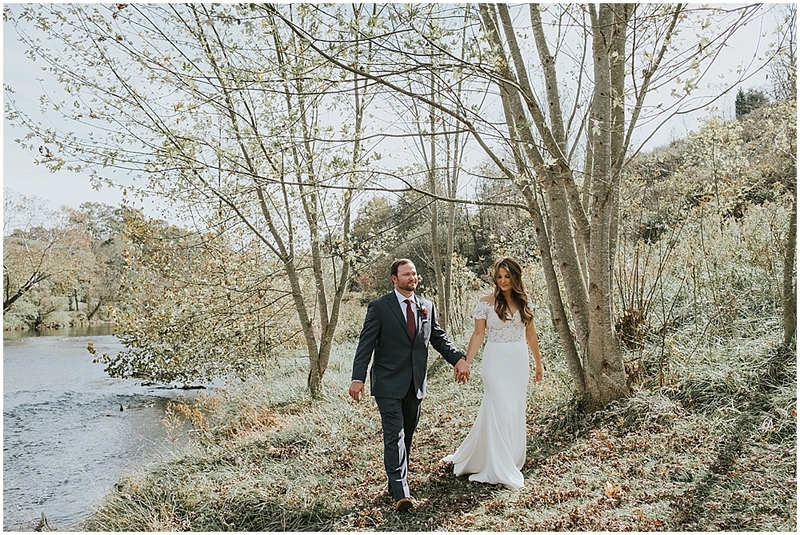 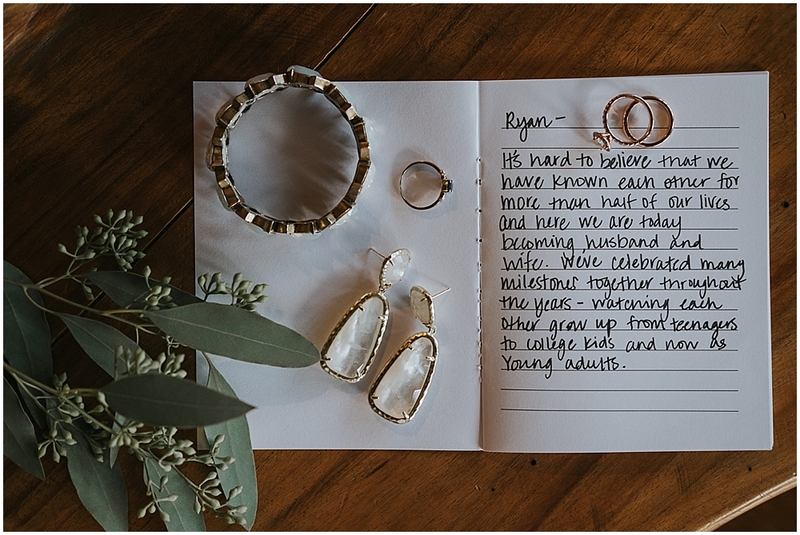 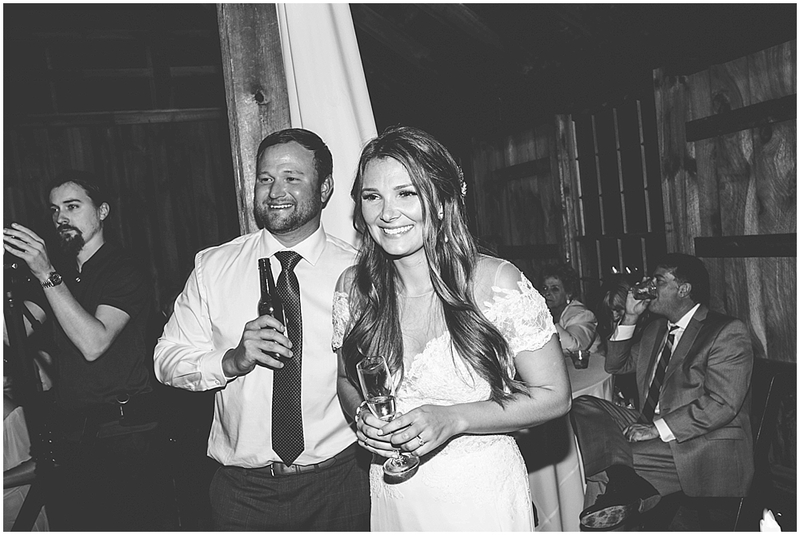 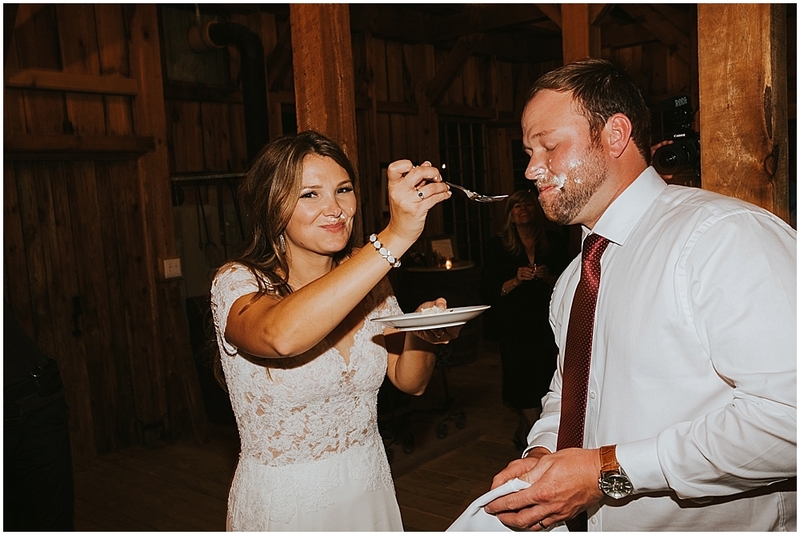 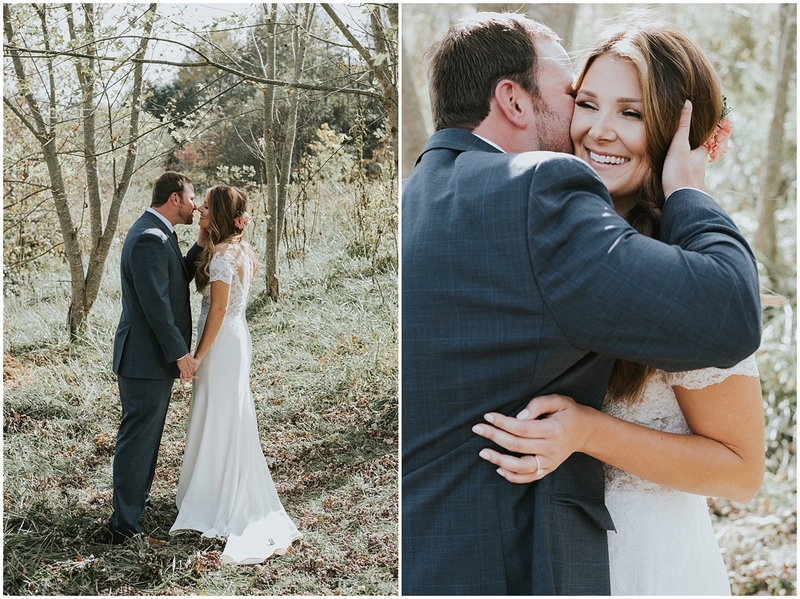 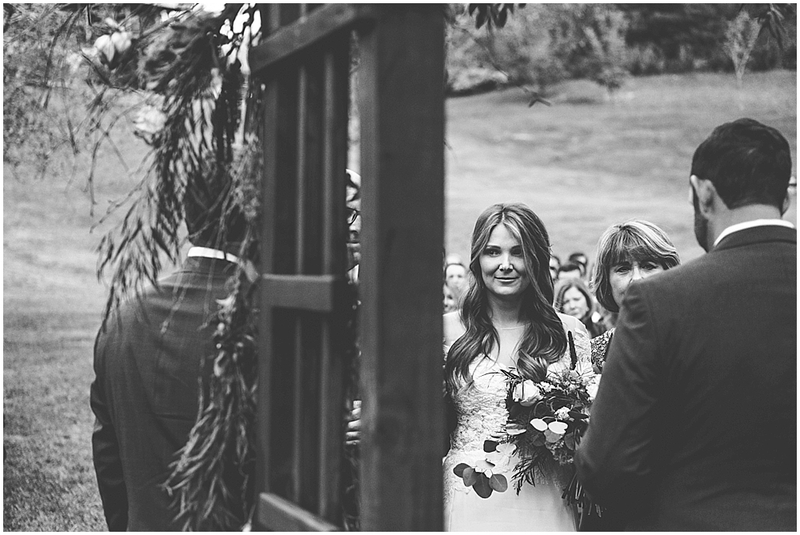 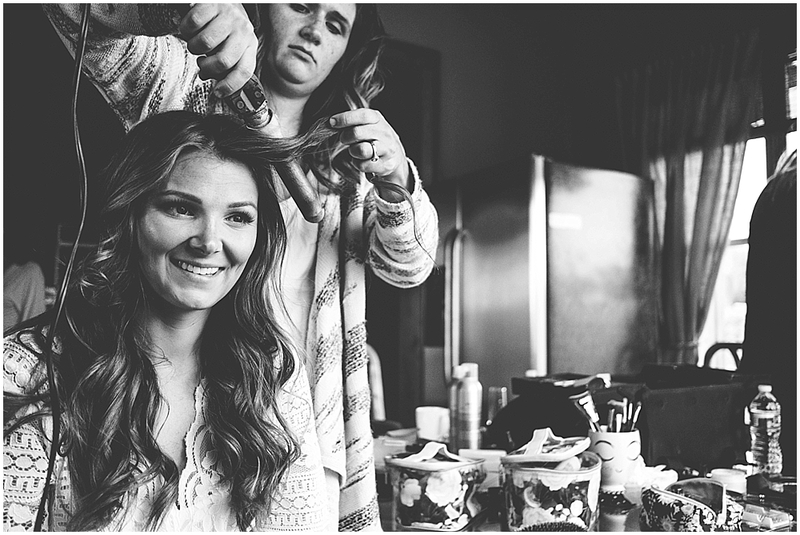 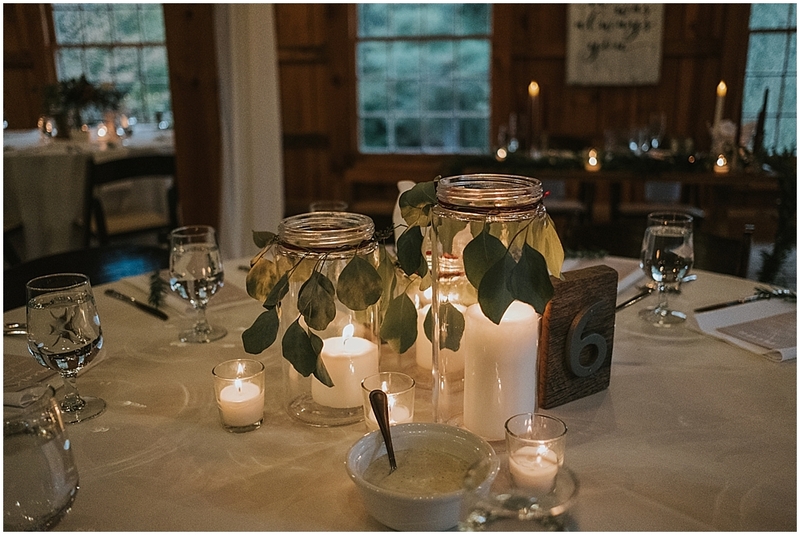 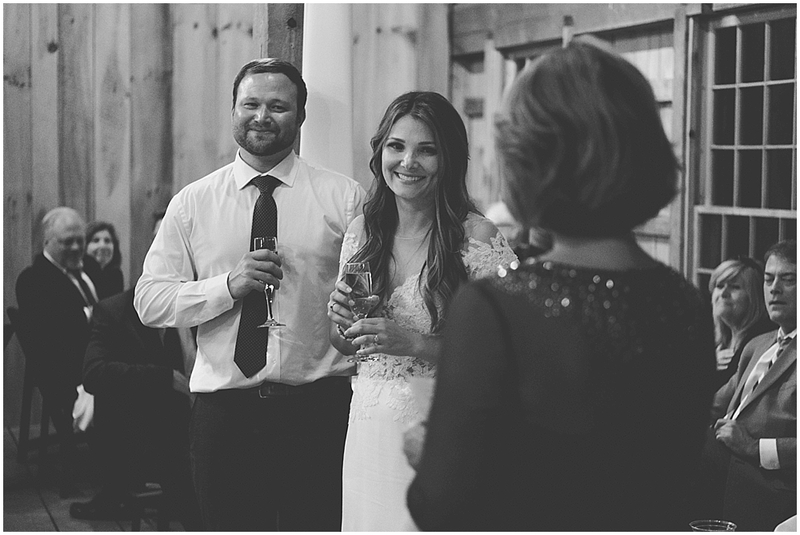 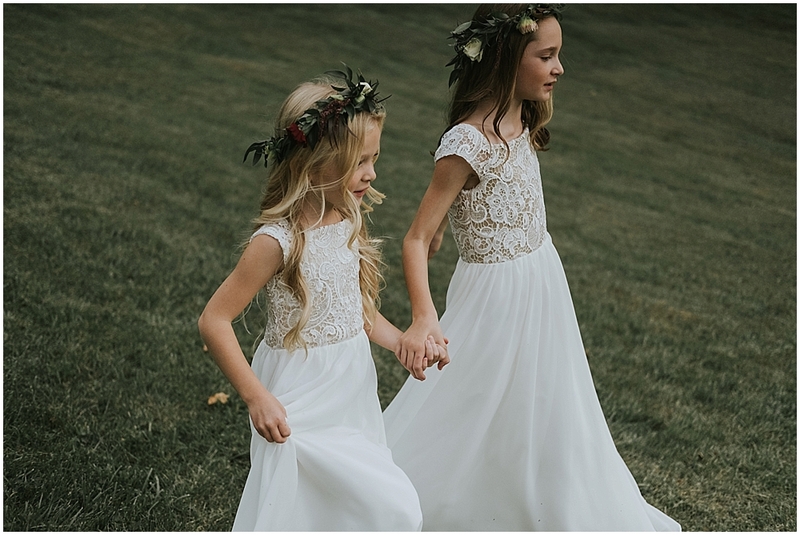 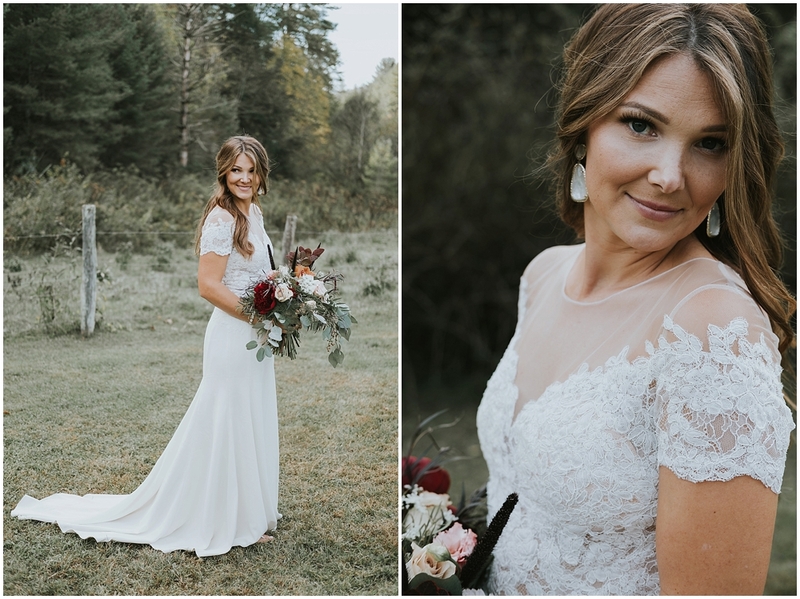 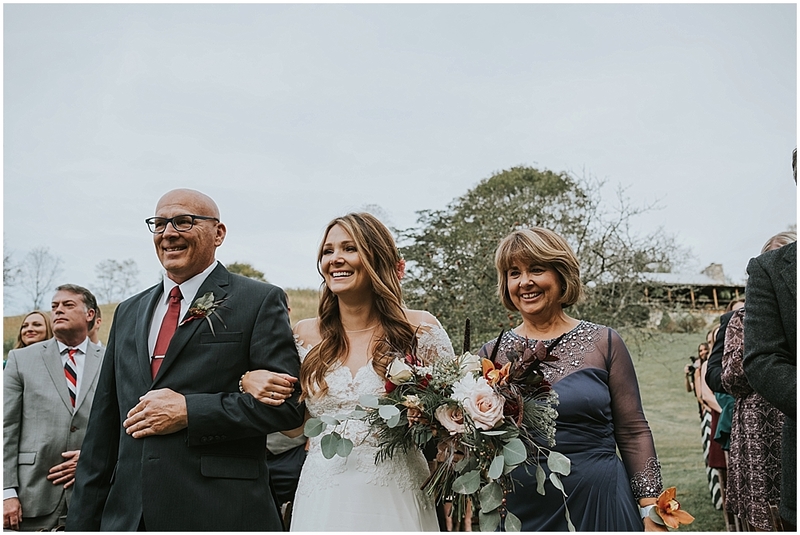 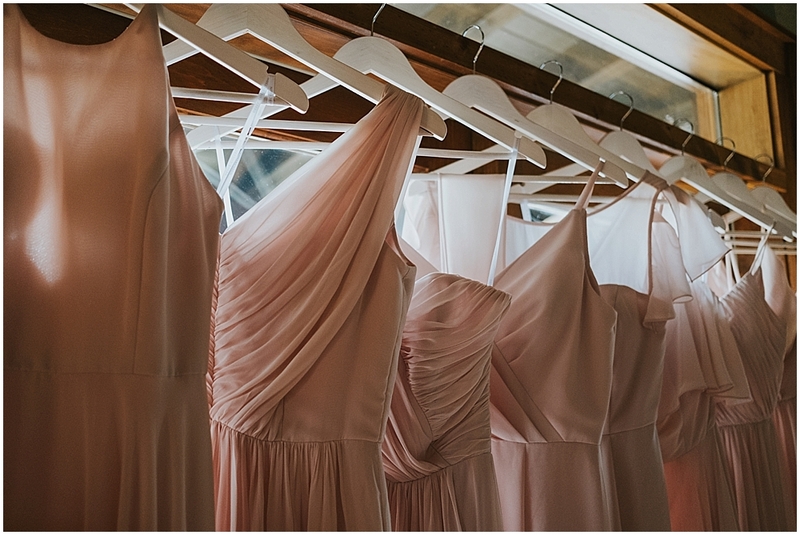 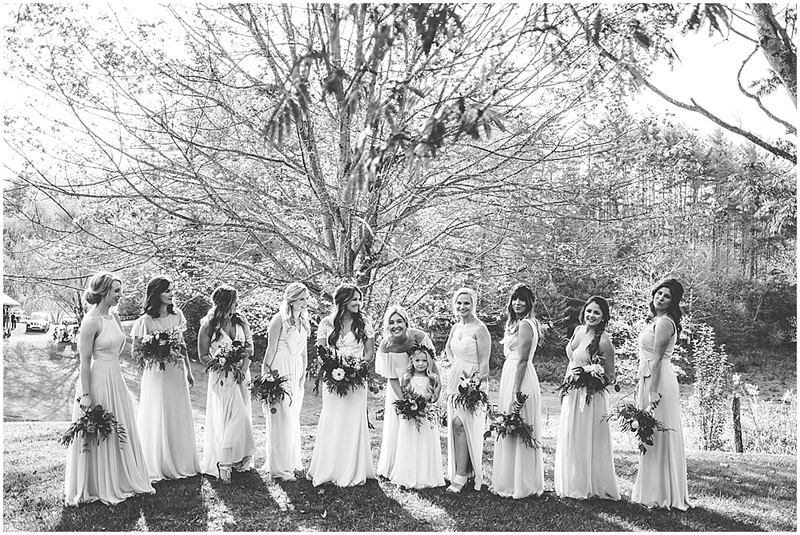 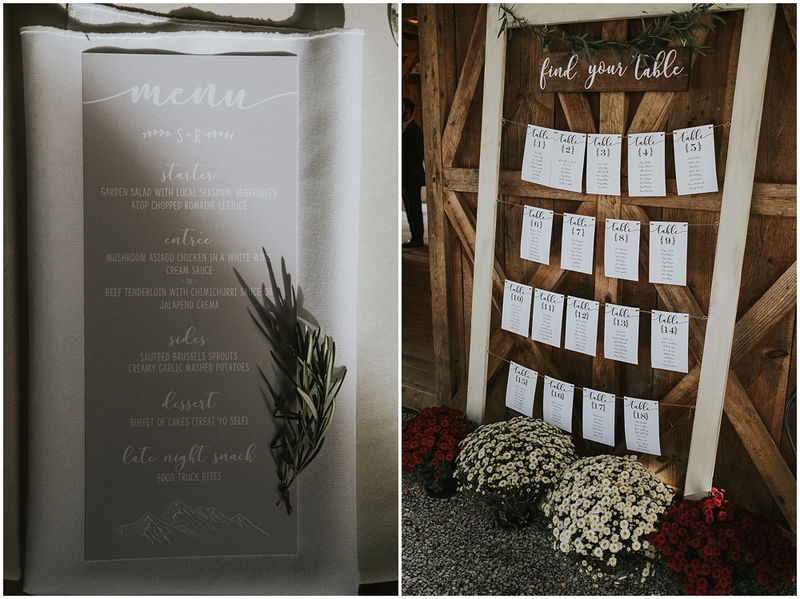 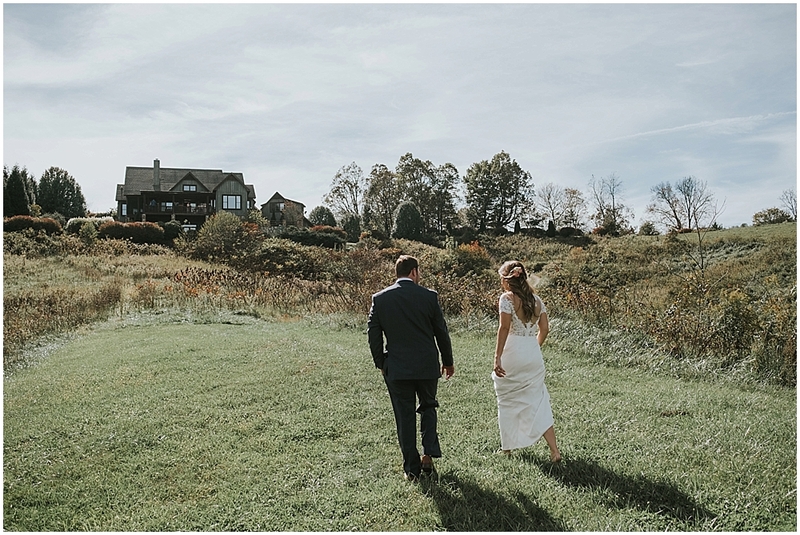 Sarah and Ryan had their gorgeous wedding at Fines Creek Farm last fall. 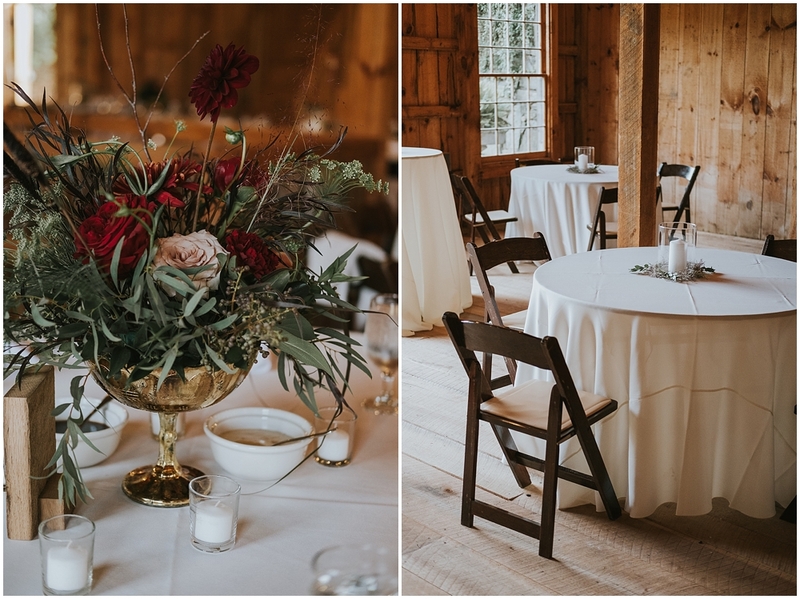 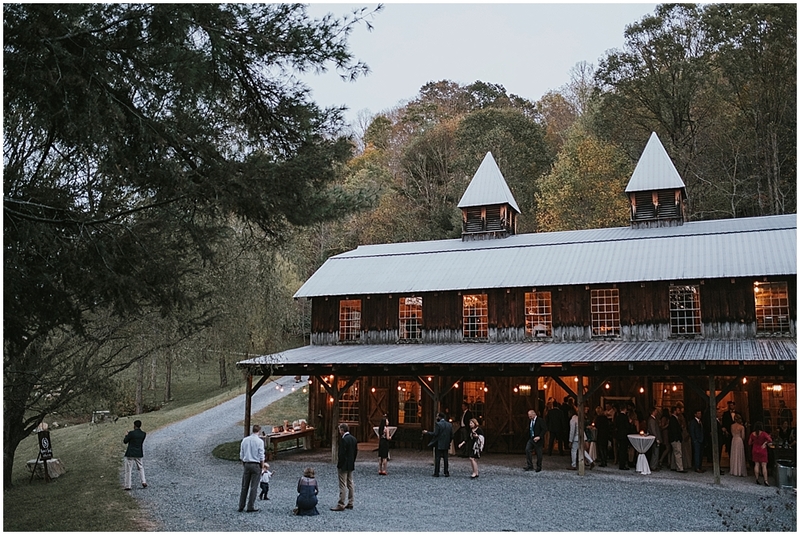 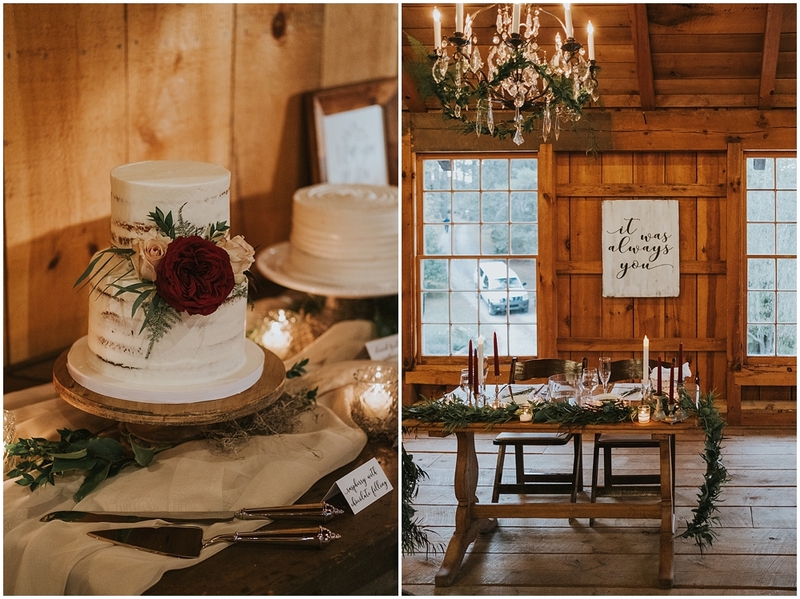 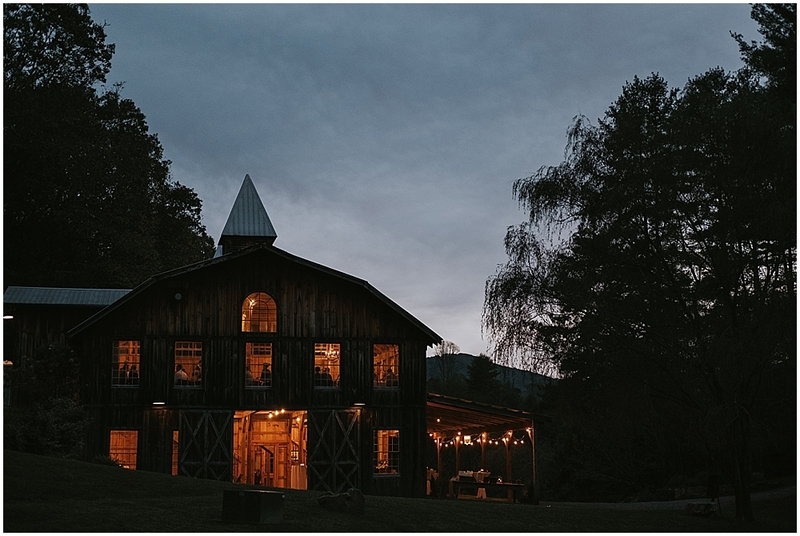 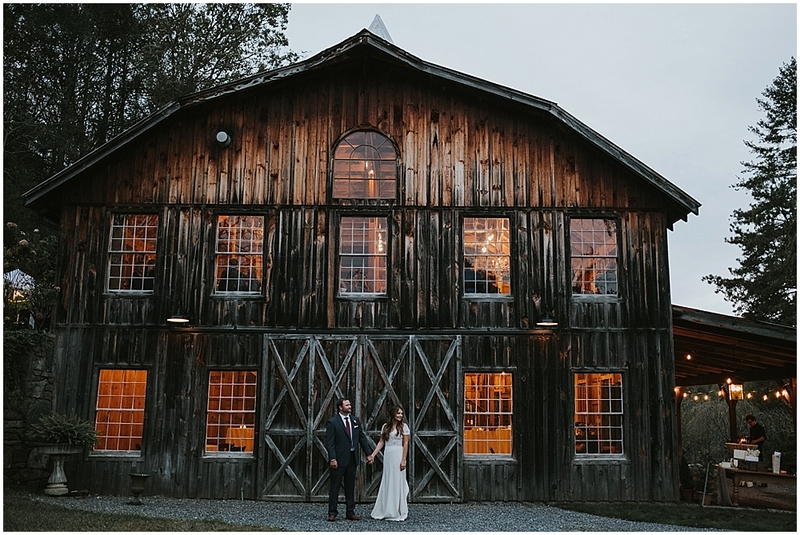 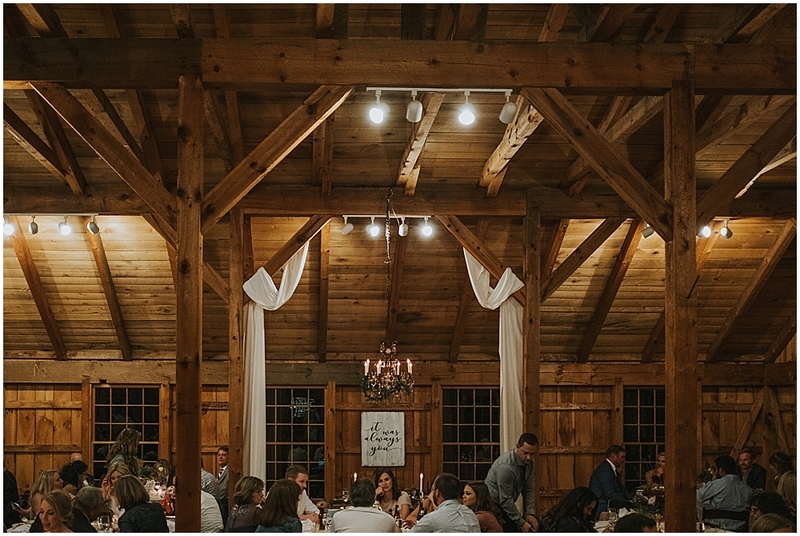 Fines Creek Farm is the most beautiful rustic two-story barn nestled in the scenic Blue Ridge Mountains just outside of Asheville, North Carolina. 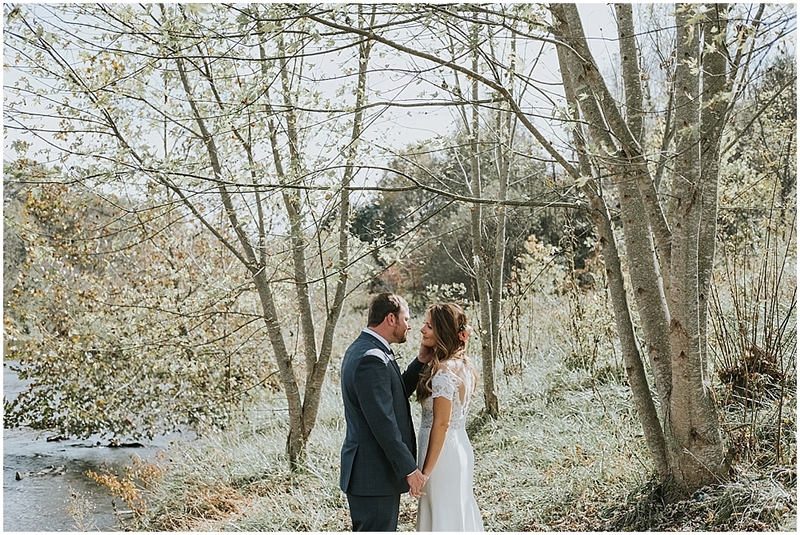 The leaves had started turning a bit for their autumn wedding day, but the sunshine kept us warm as we photographed outside. 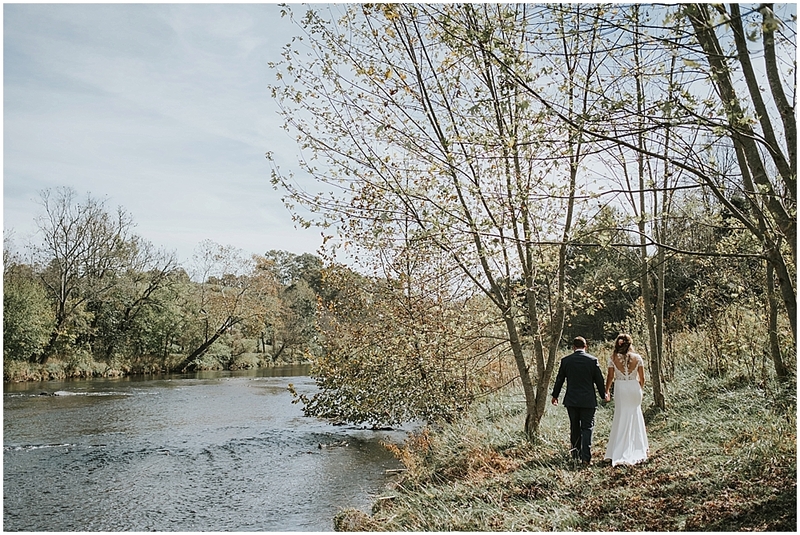 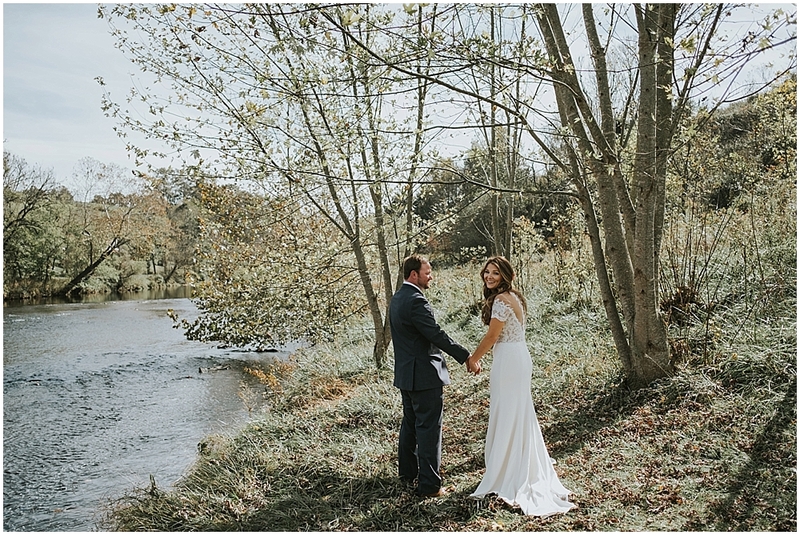 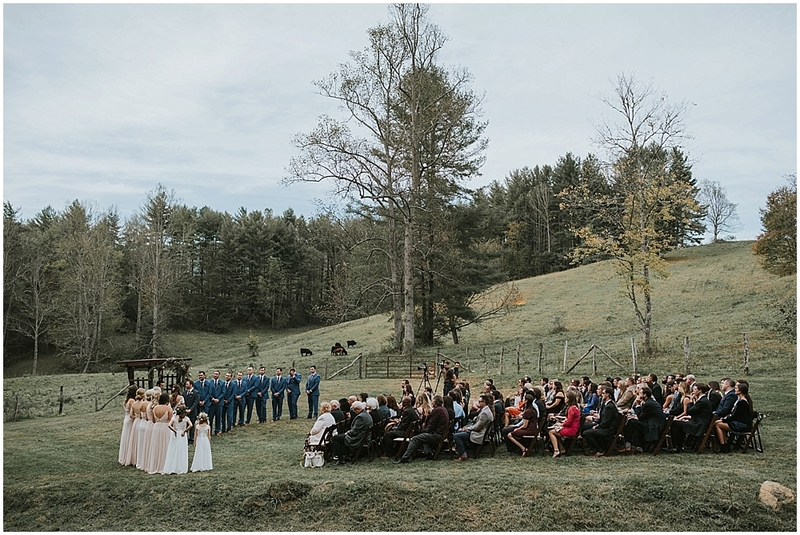 The natural scenery, Sarah and Ryan’s joy, and all their happy memories made this such a wonderful day to remember. 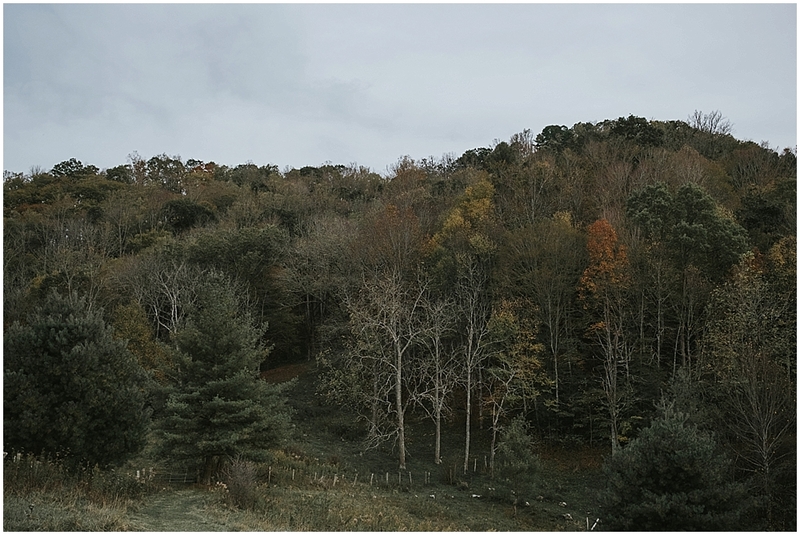 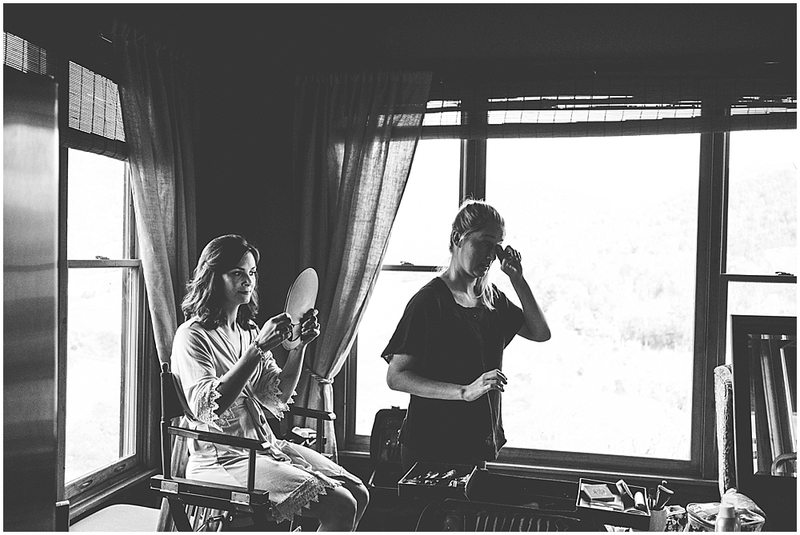 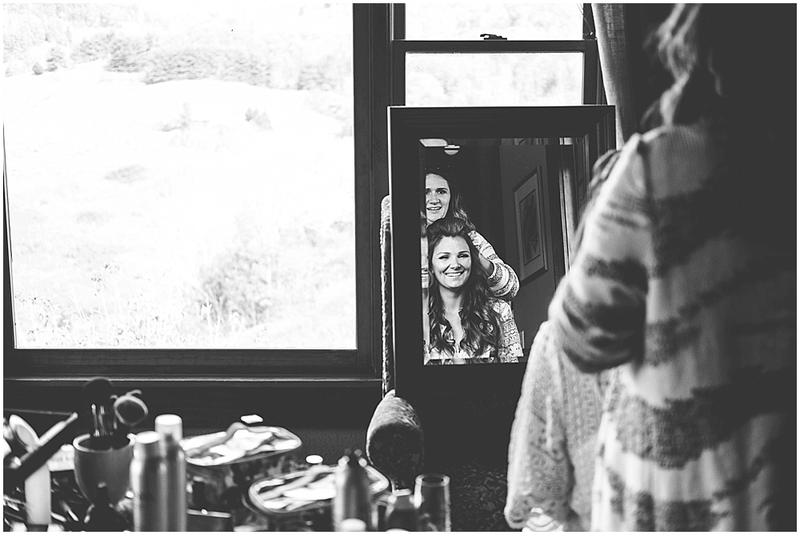 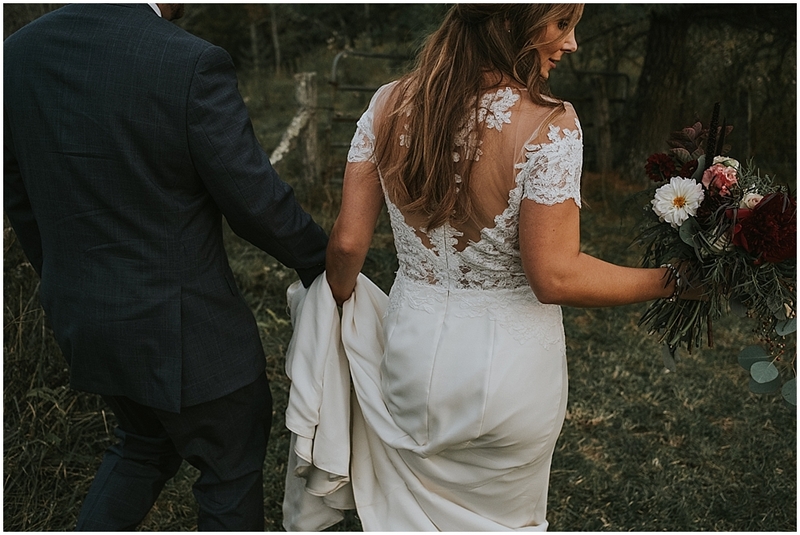 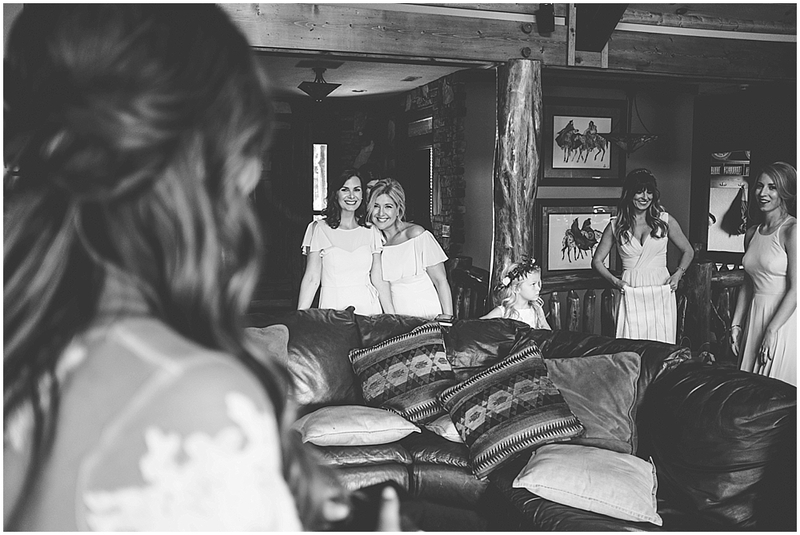 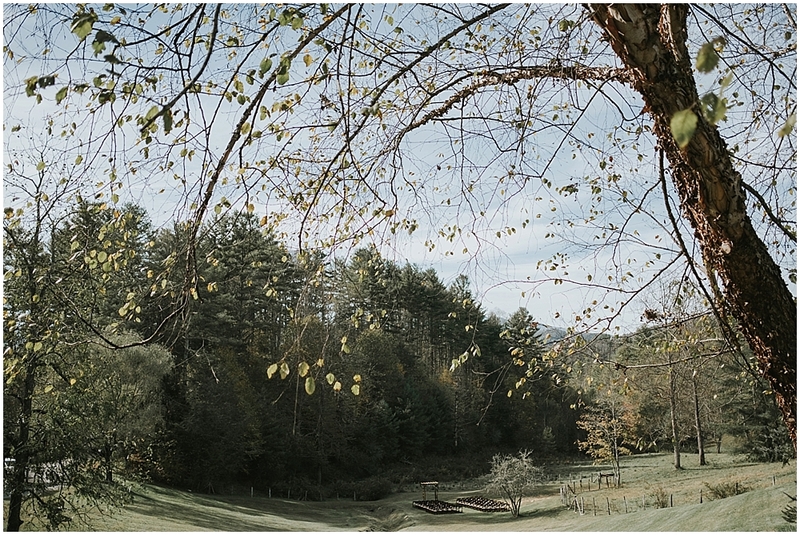 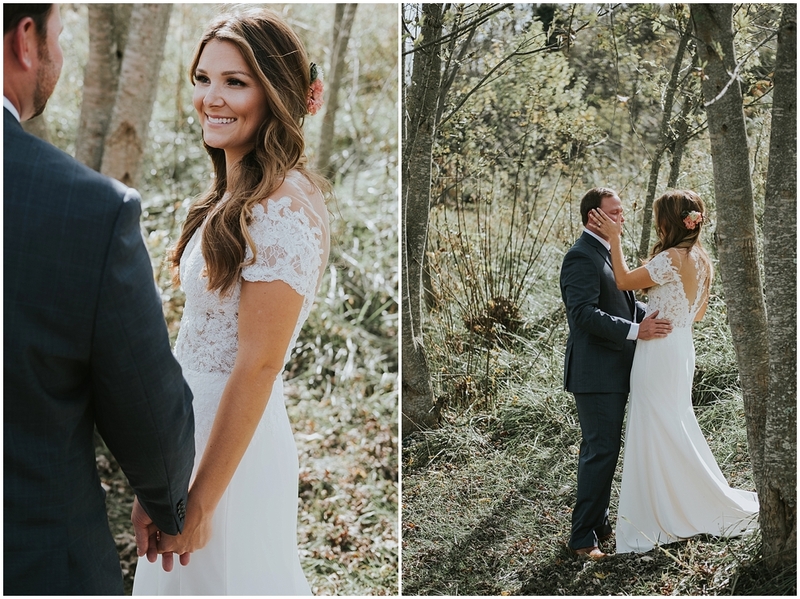 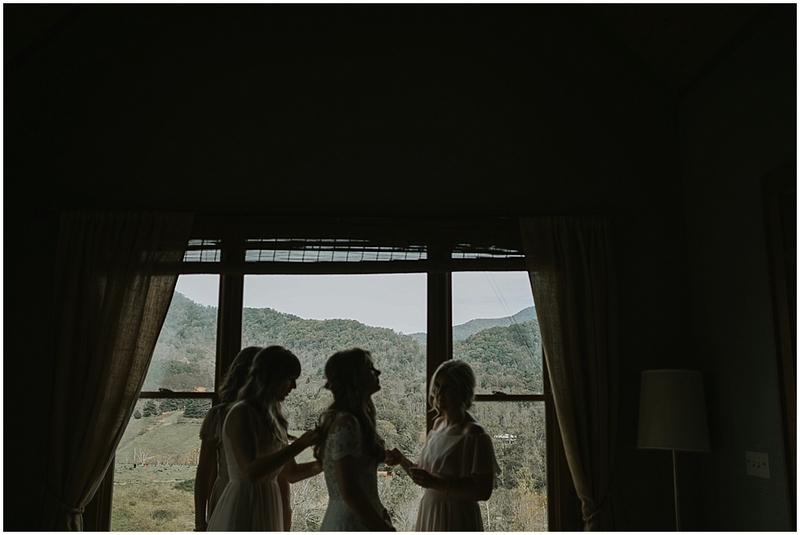 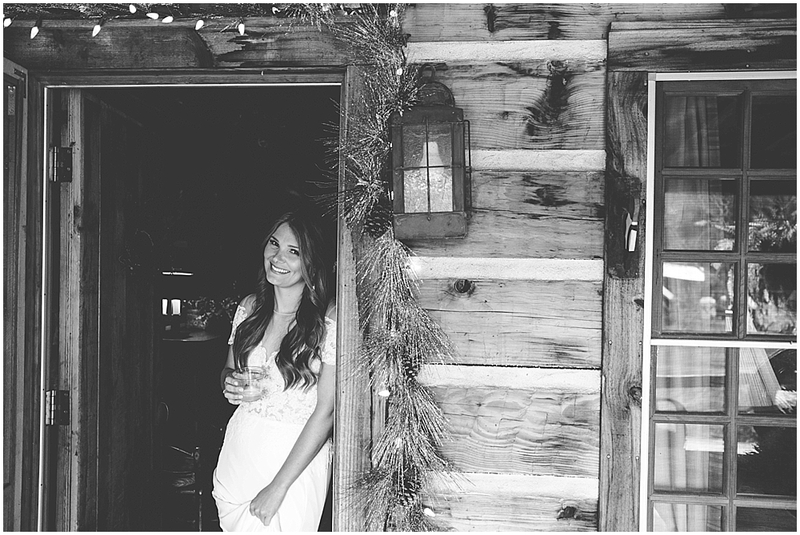 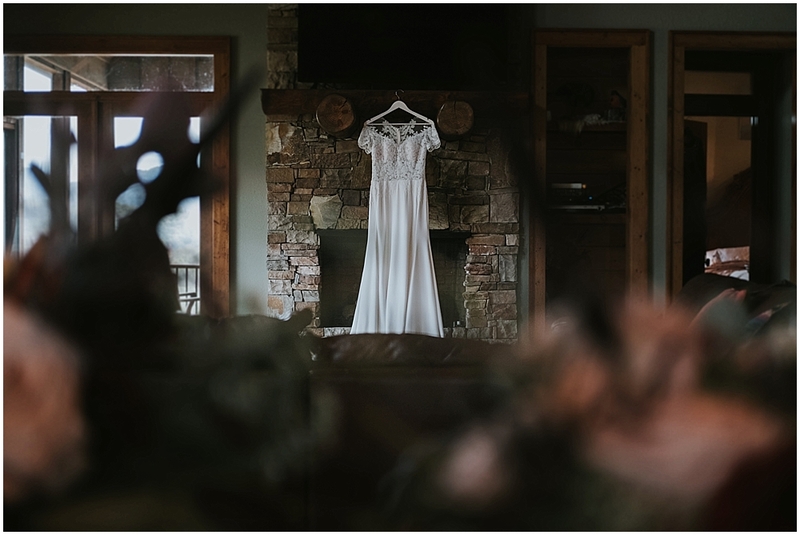 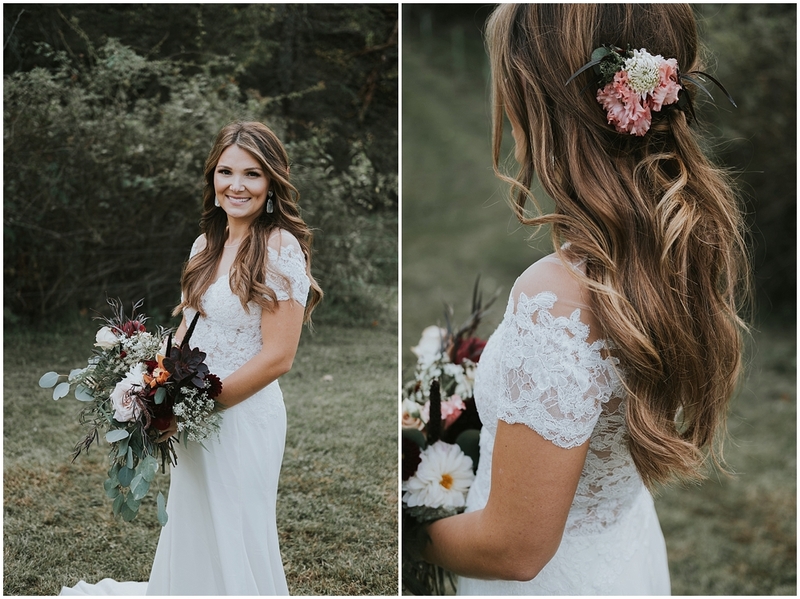 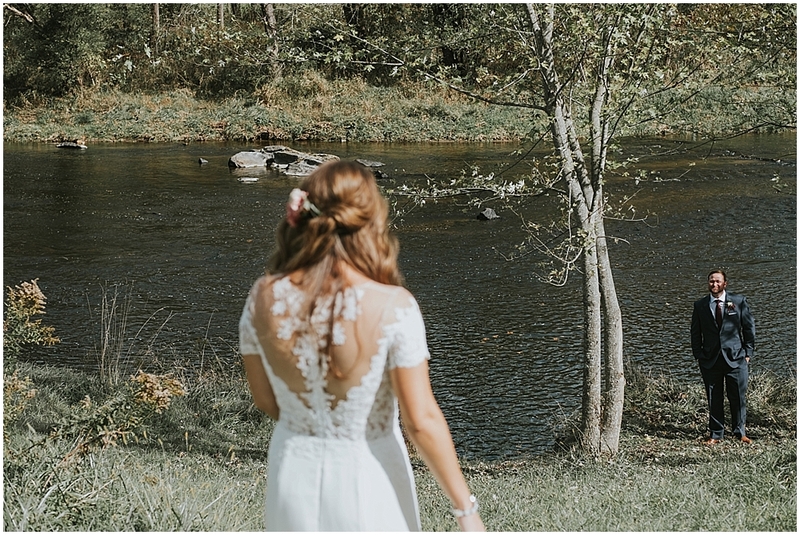 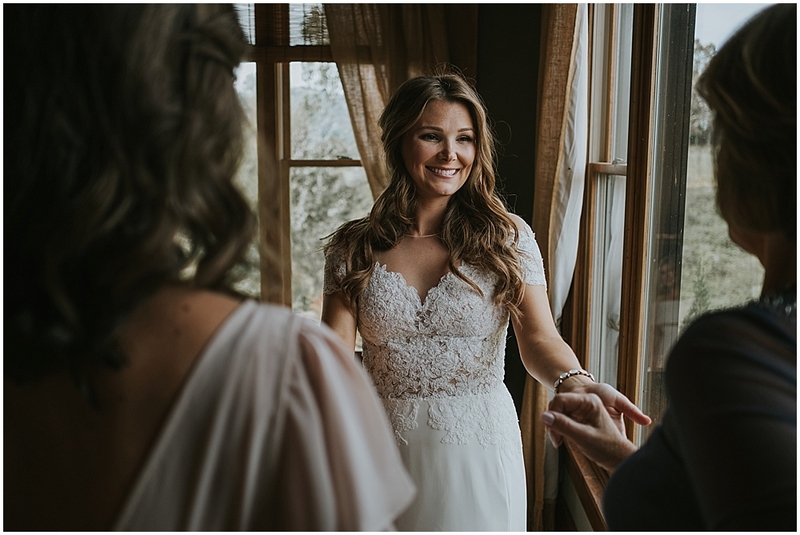 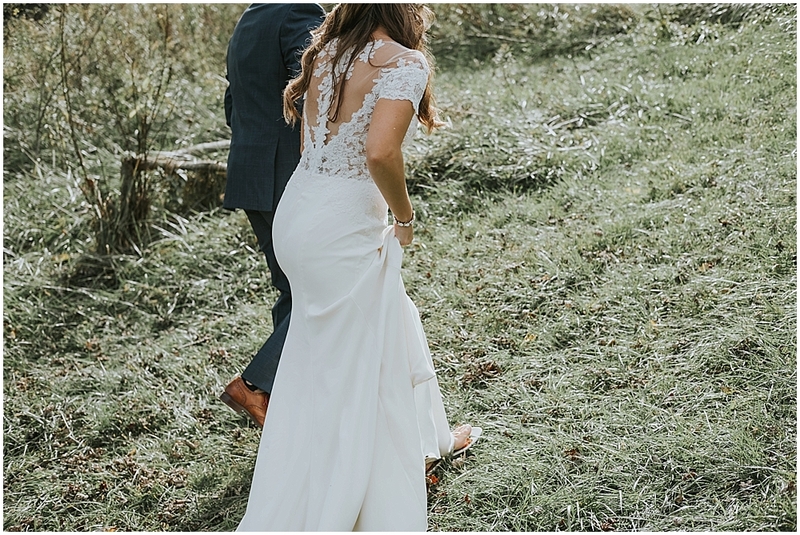 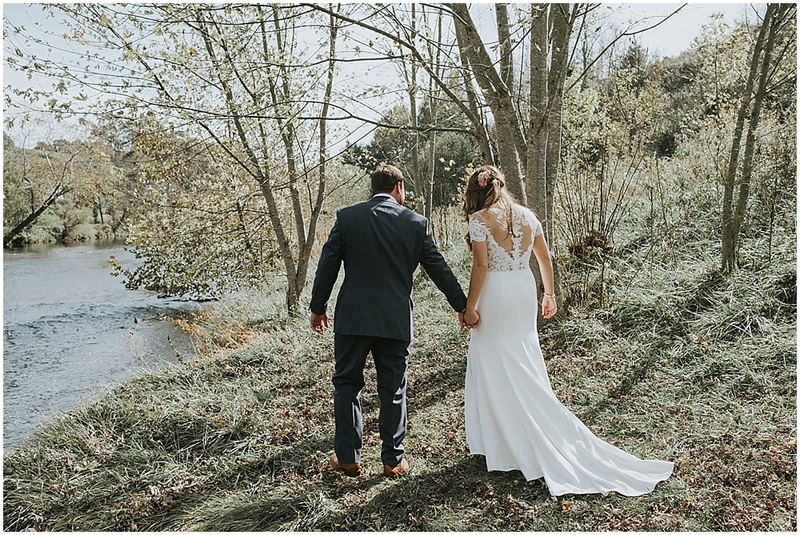 Sarah and Ryan started their day out getting ready at a scenic cabin alongside a creek deep in the mountains. 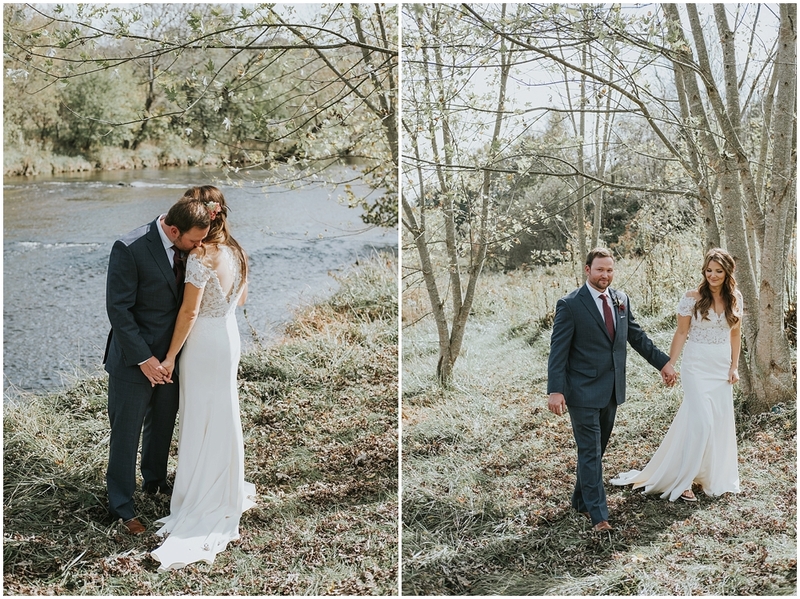 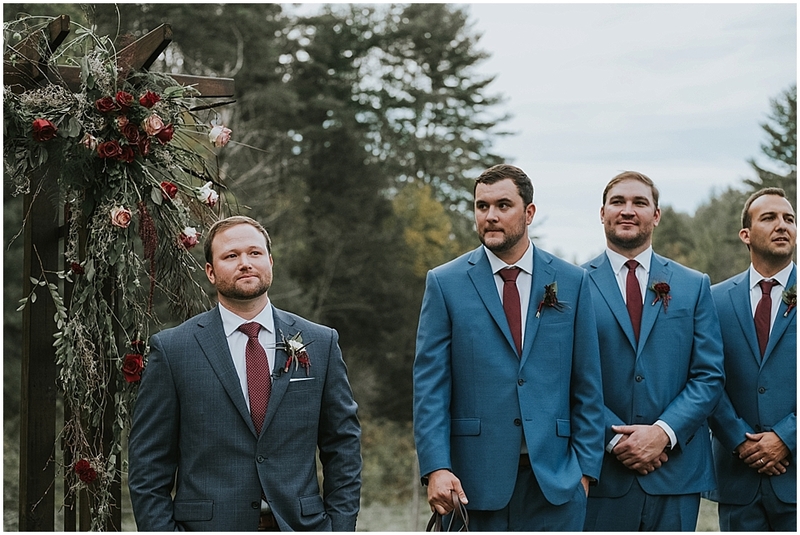 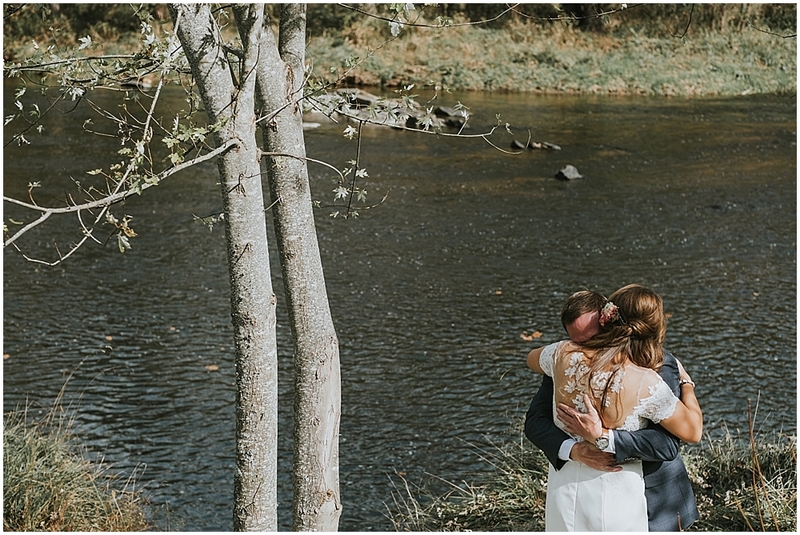 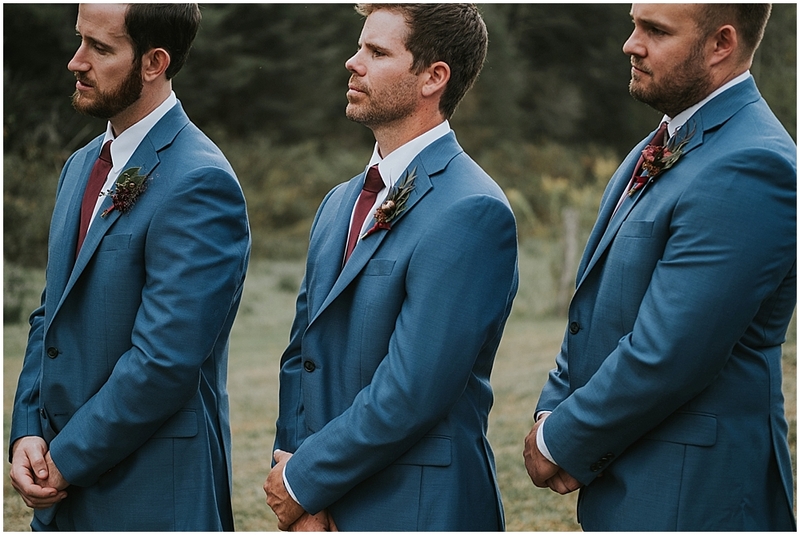 My talented associate Zach joined me on this wedding day, and we photographed their first look here by the water before heading over to Fines Creek Farm for the ceremony. 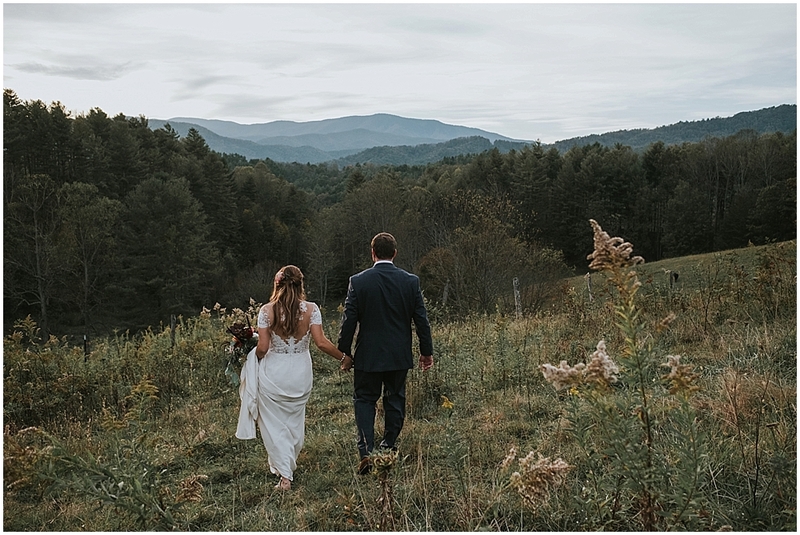 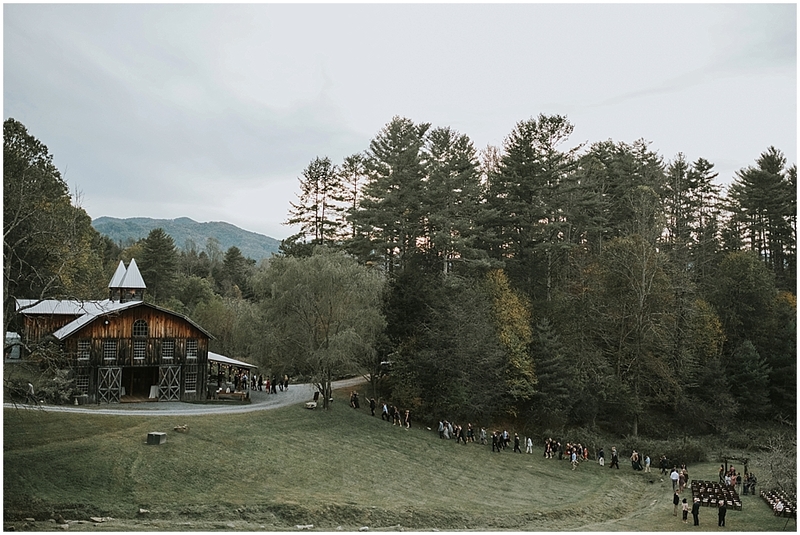 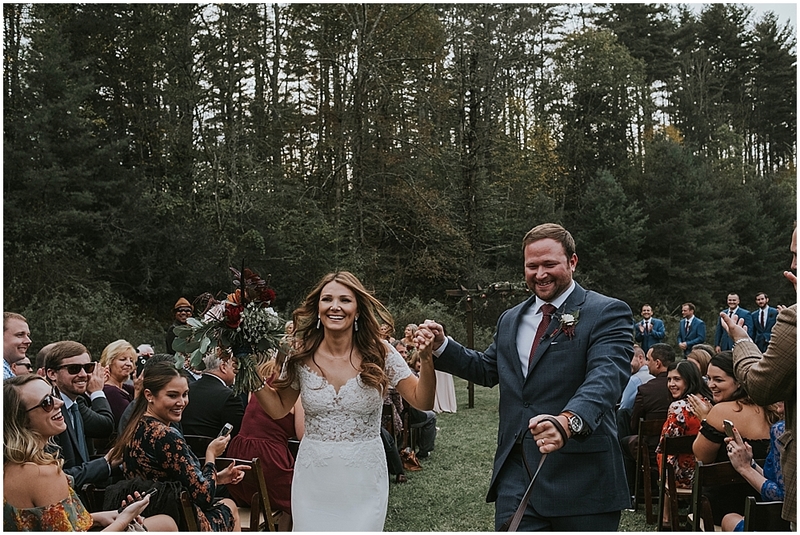 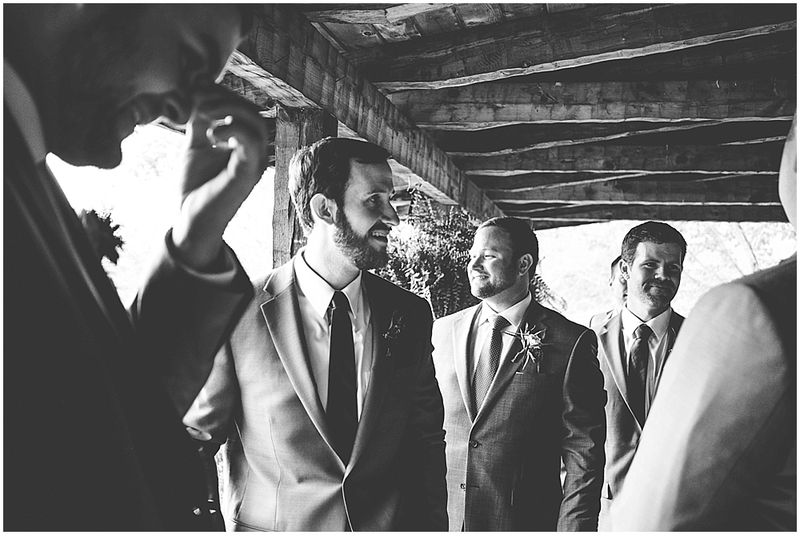 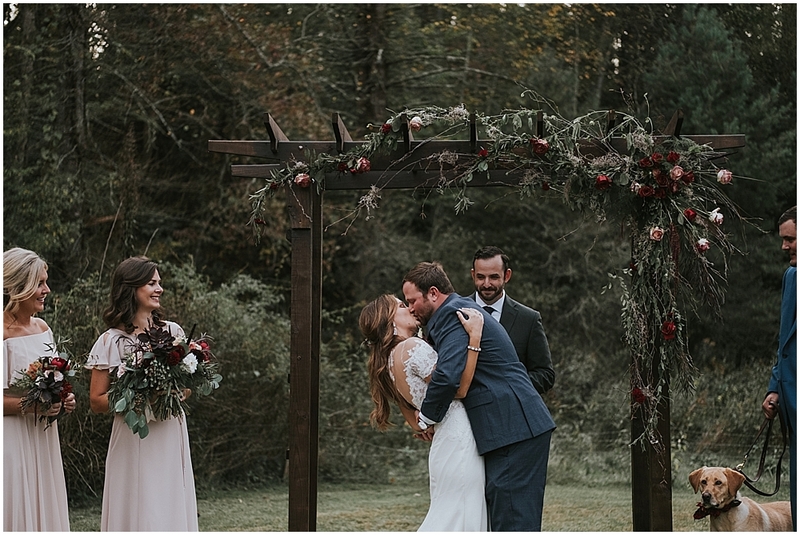 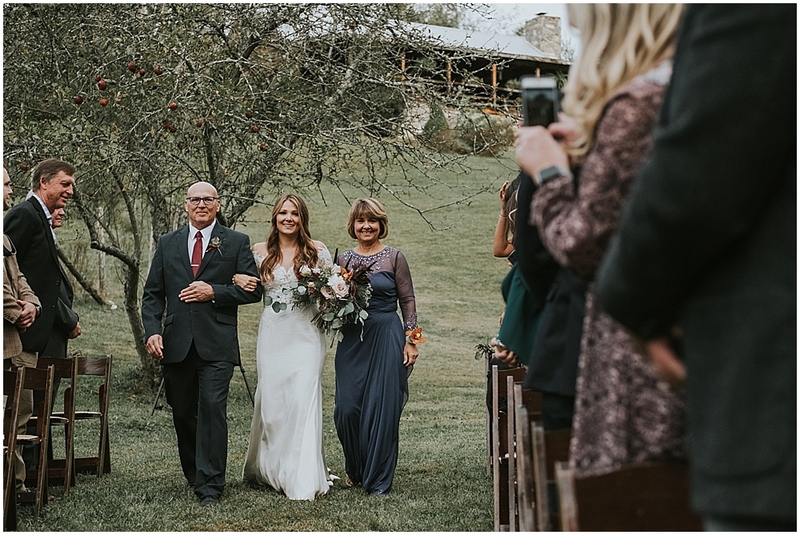 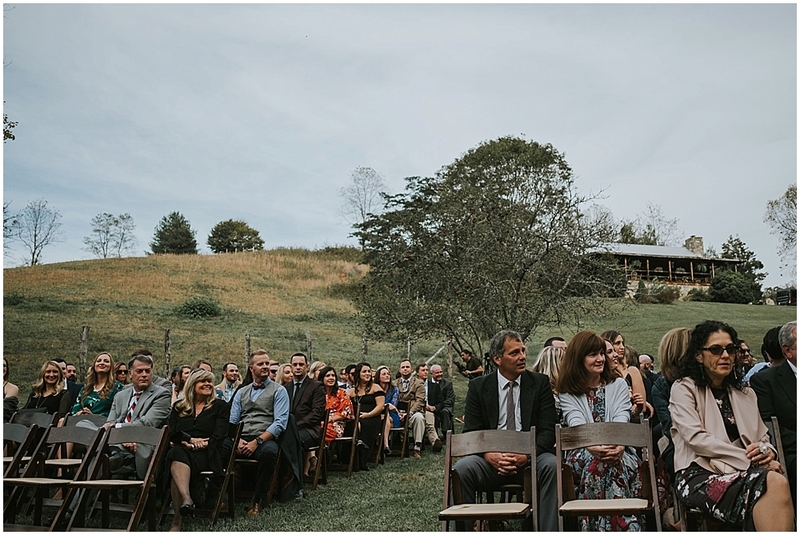 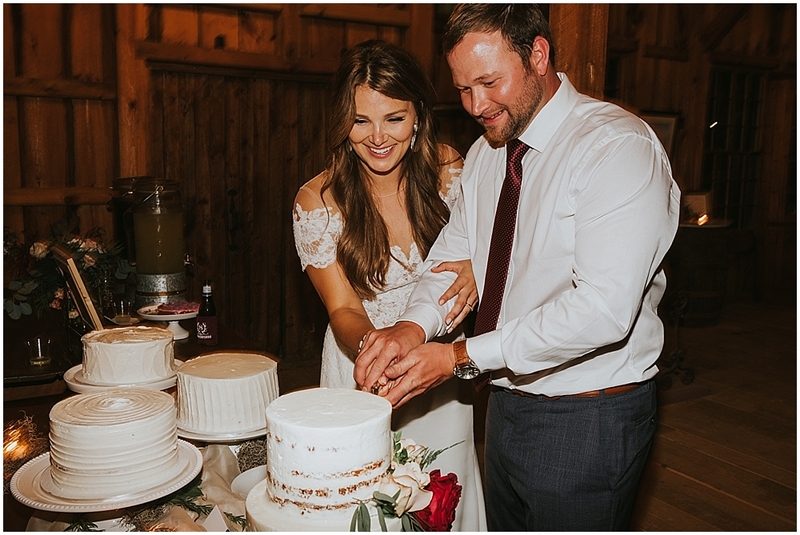 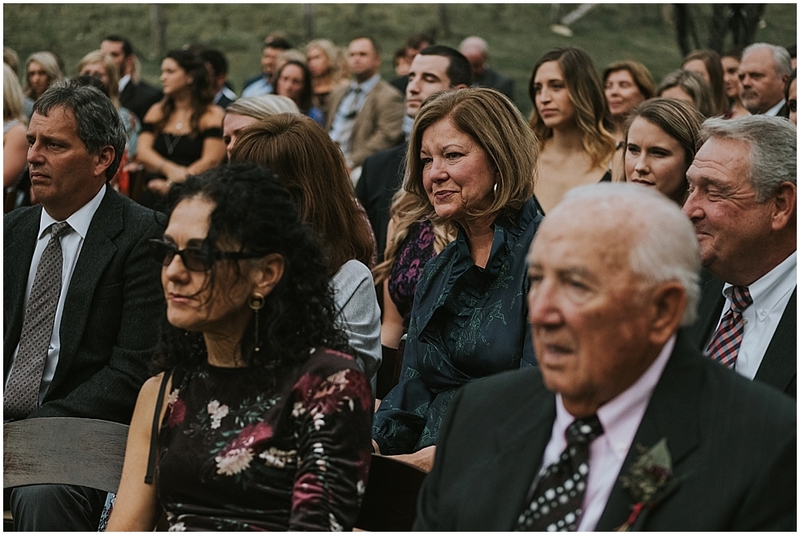 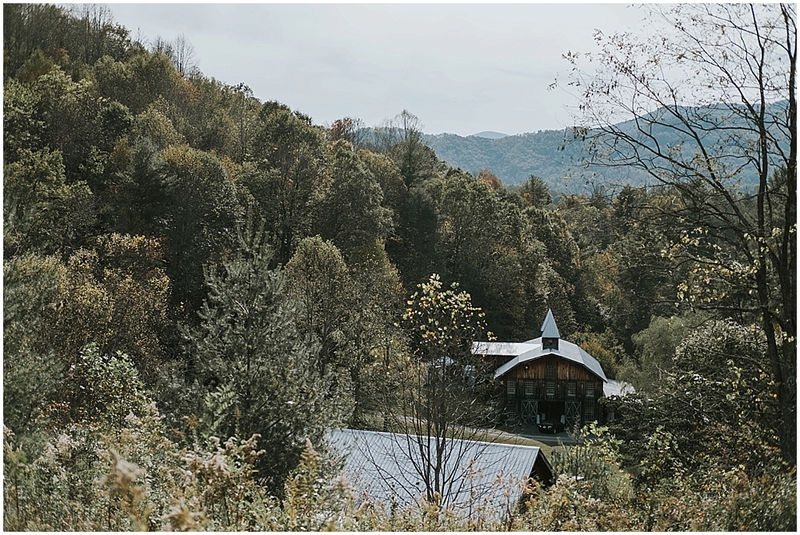 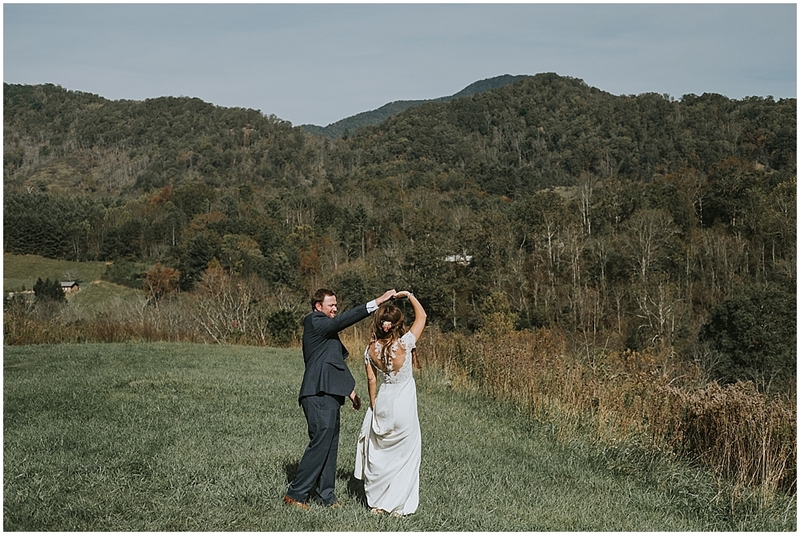 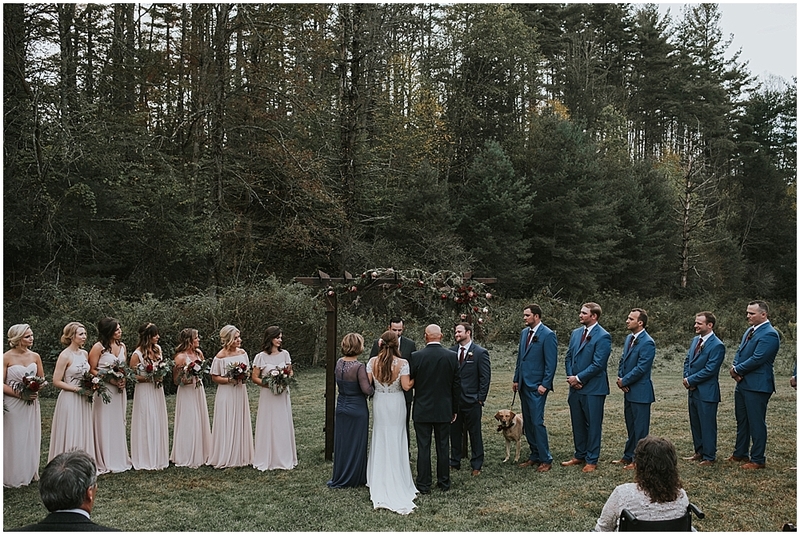 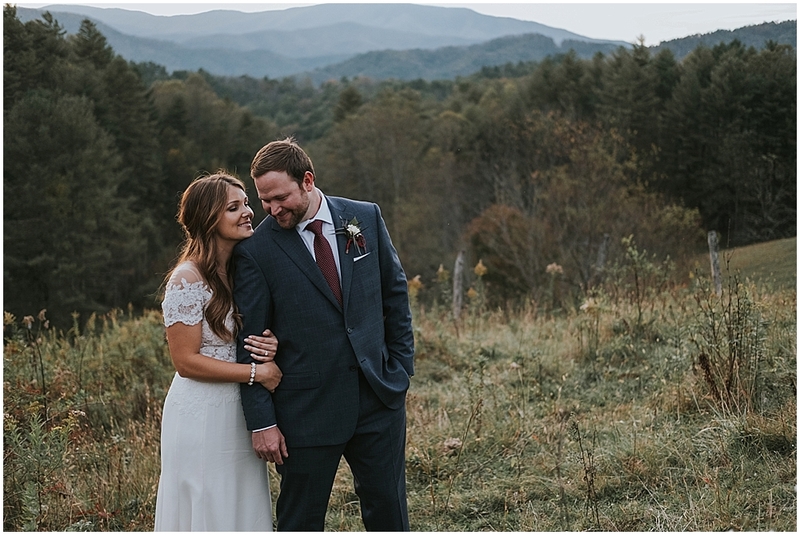 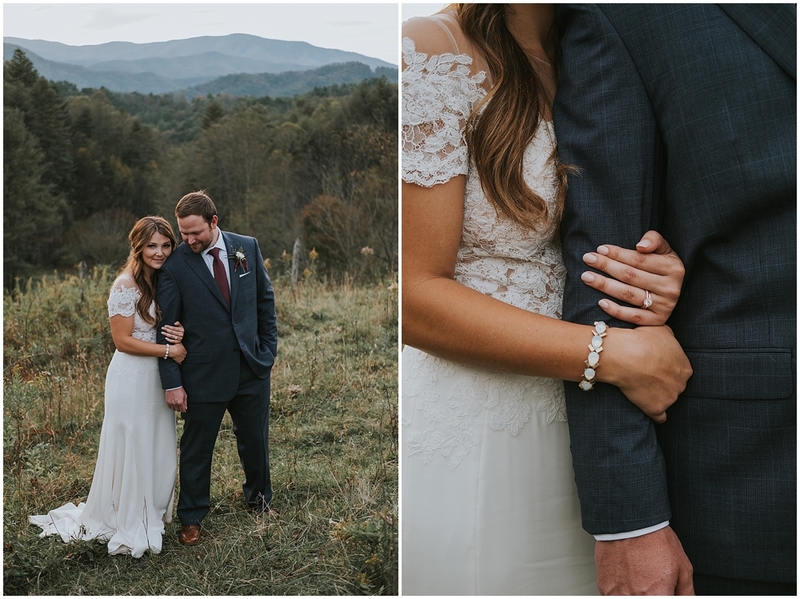 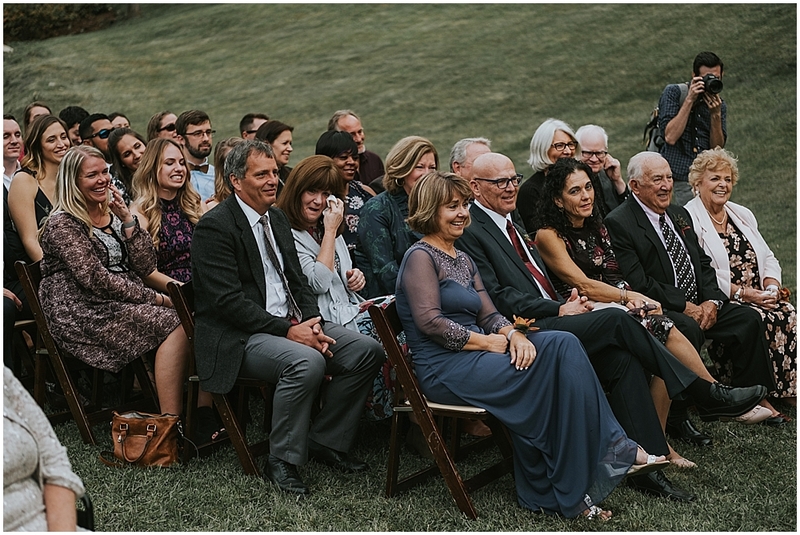 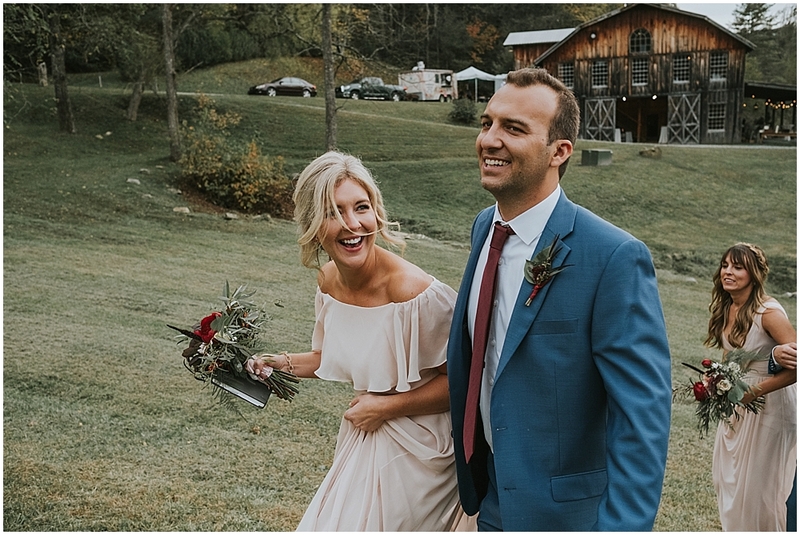 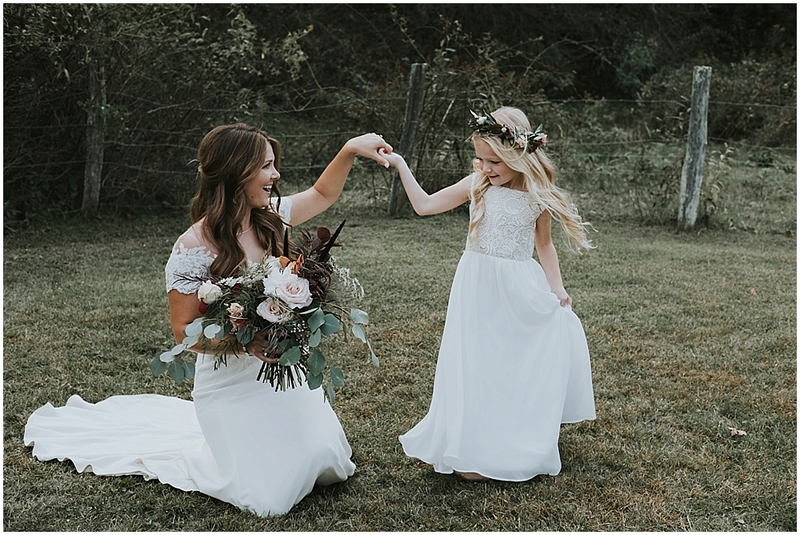 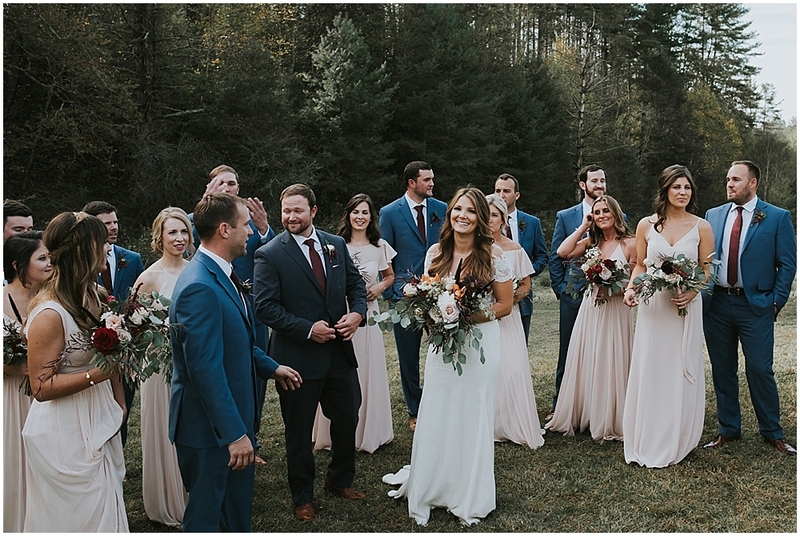 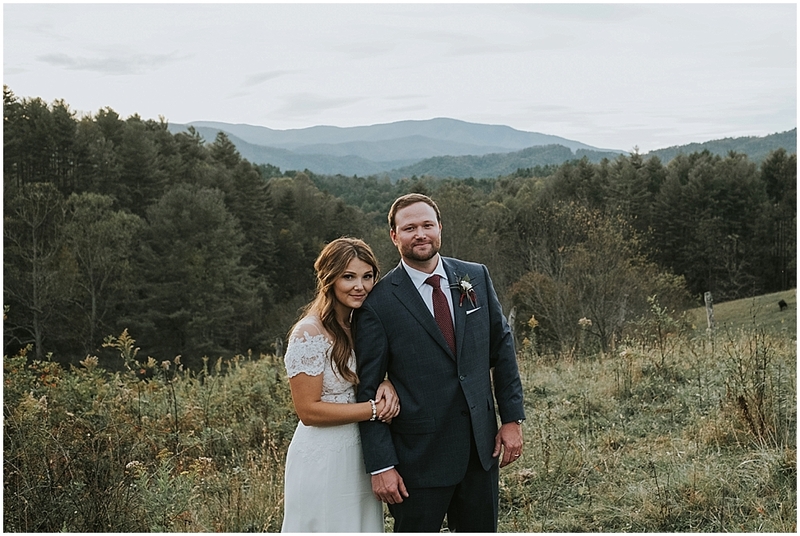 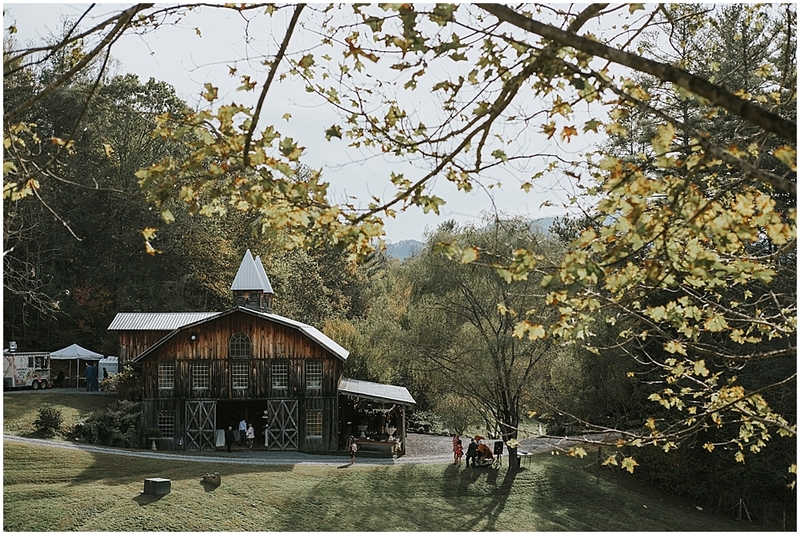 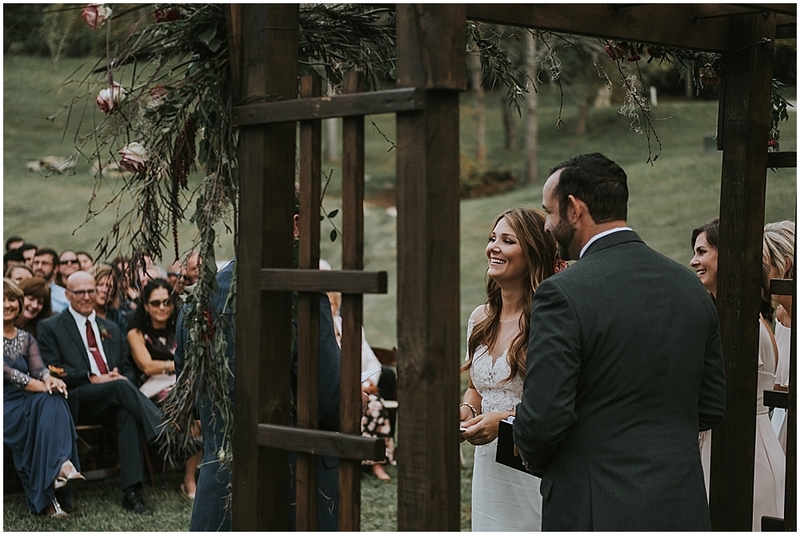 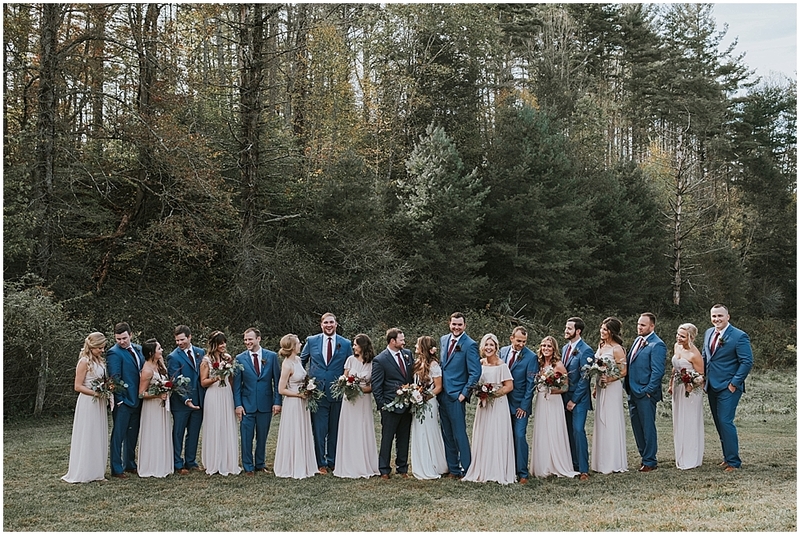 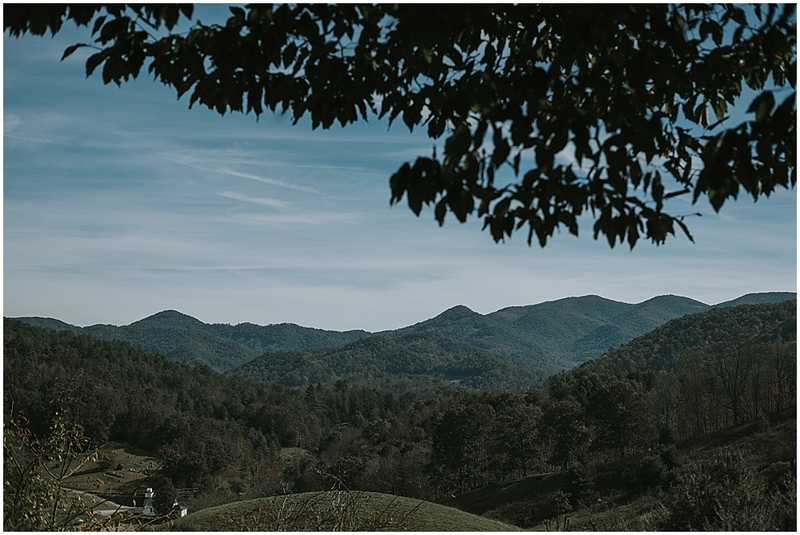 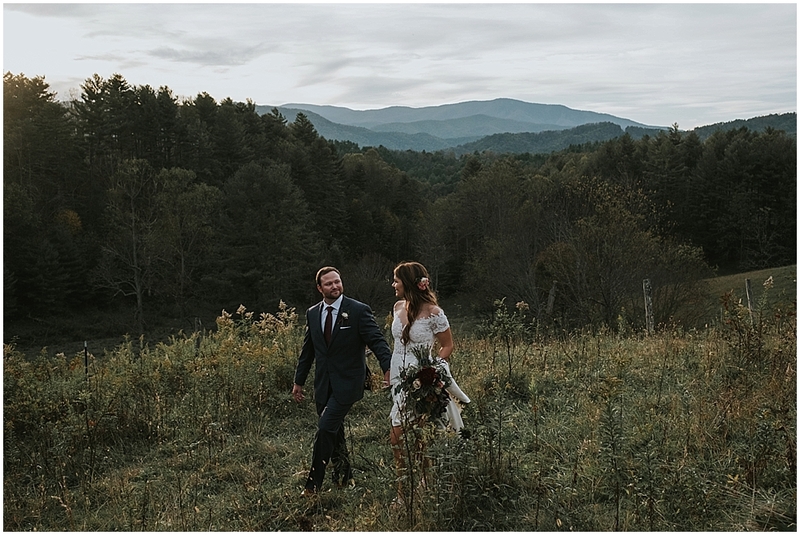 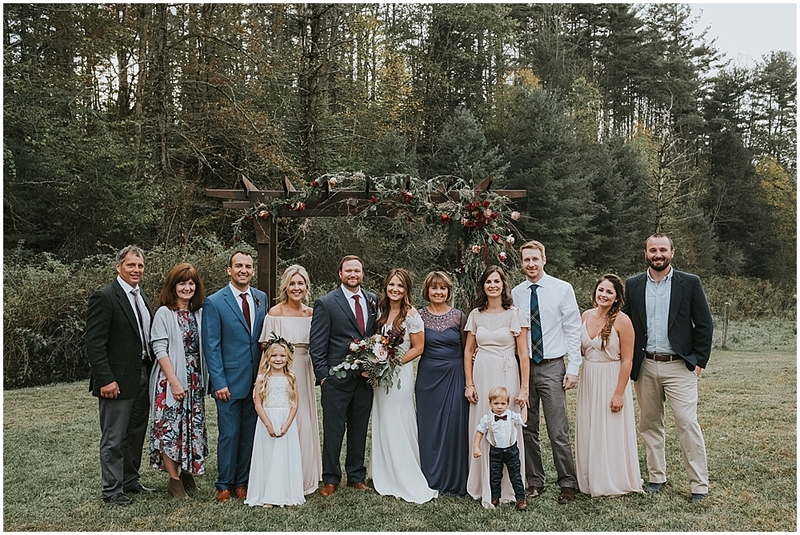 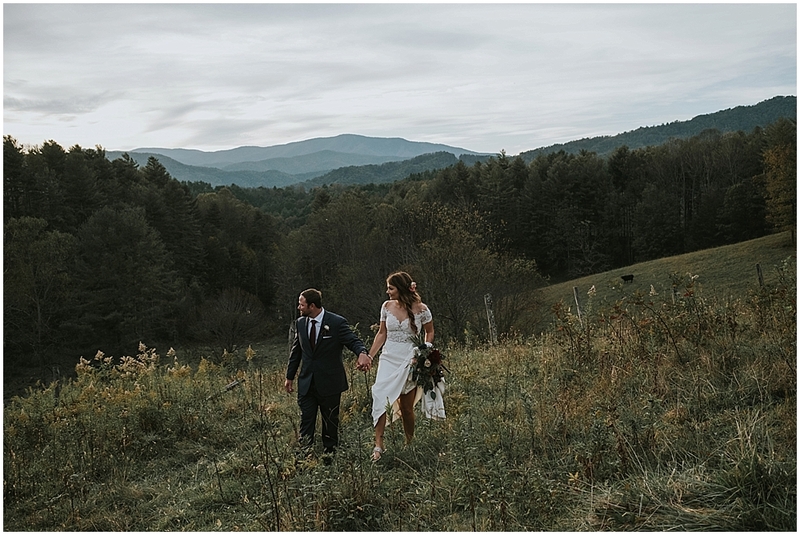 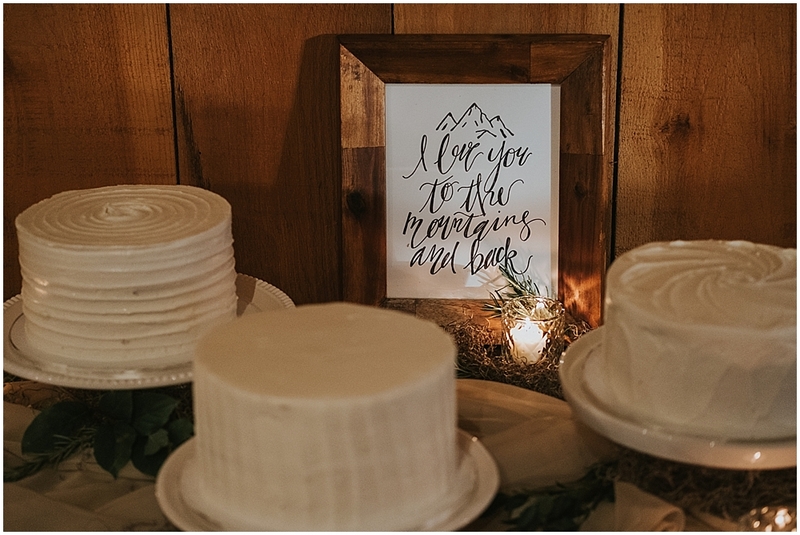 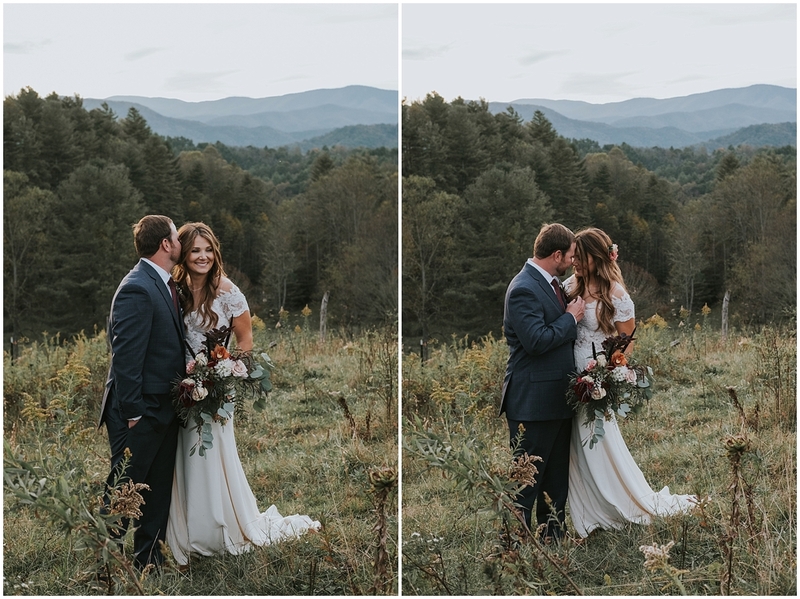 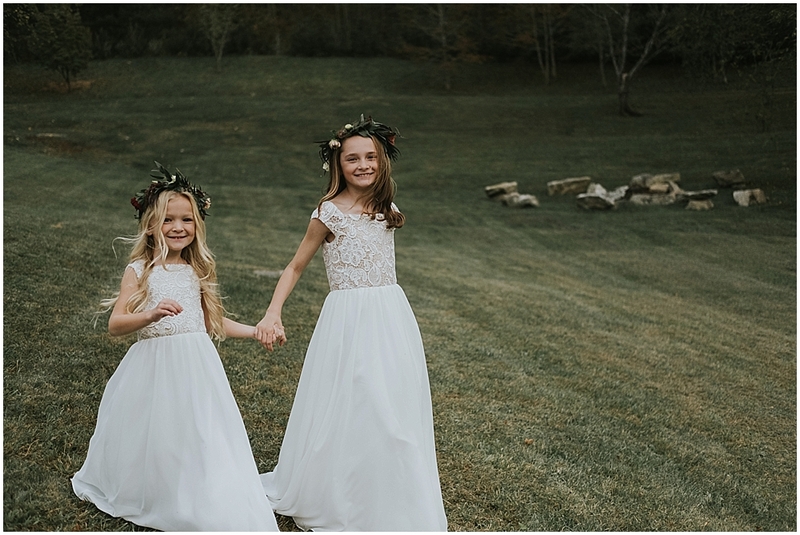 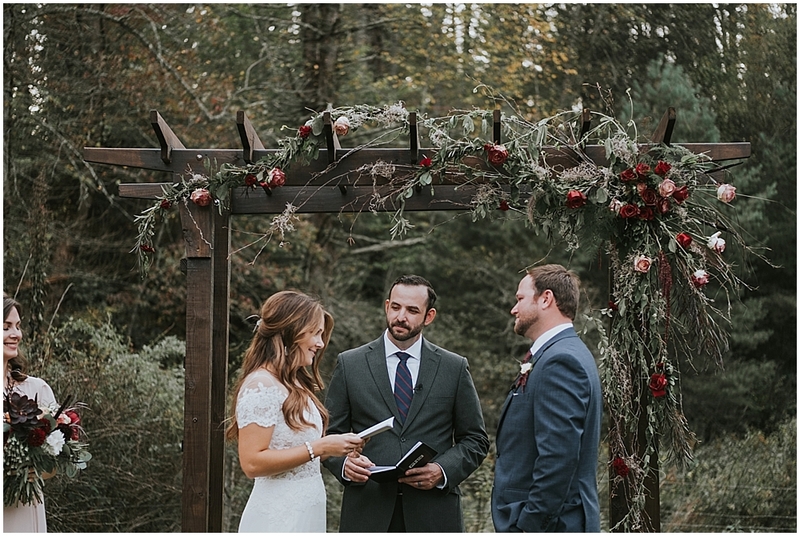 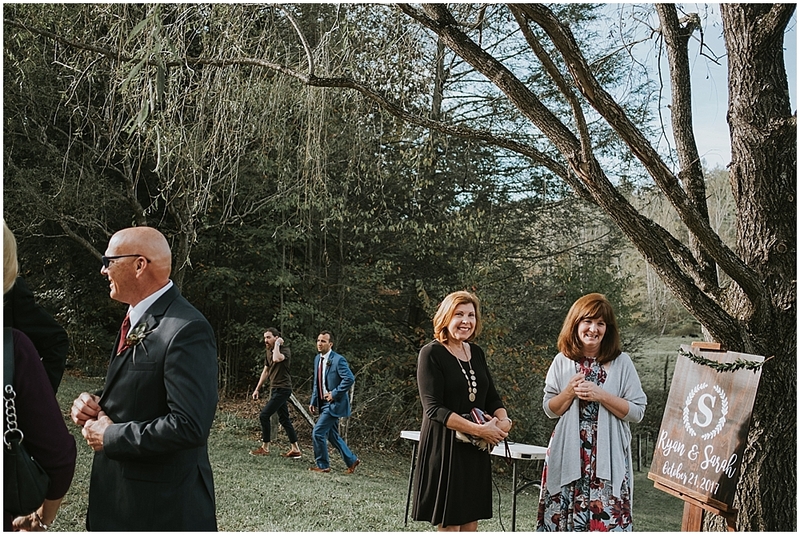 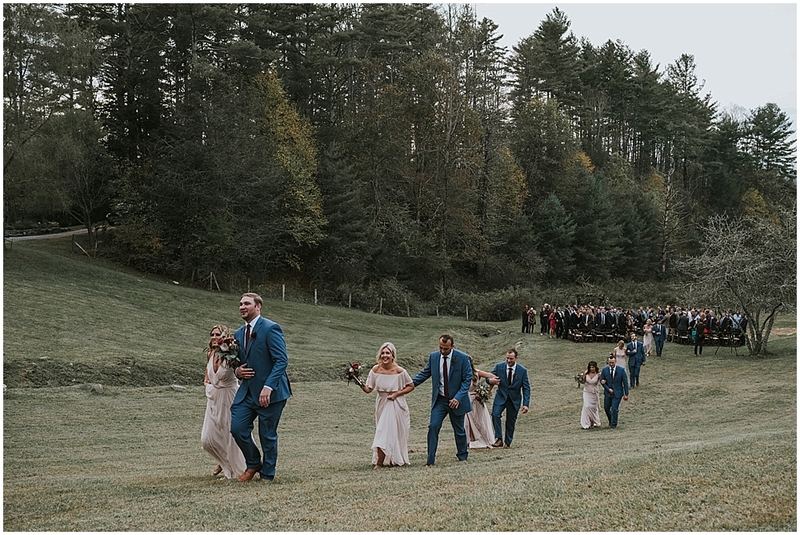 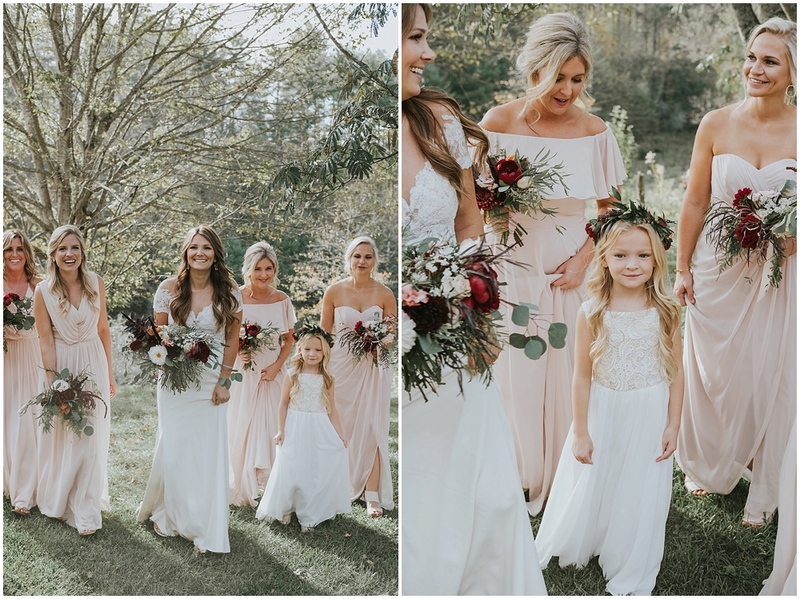 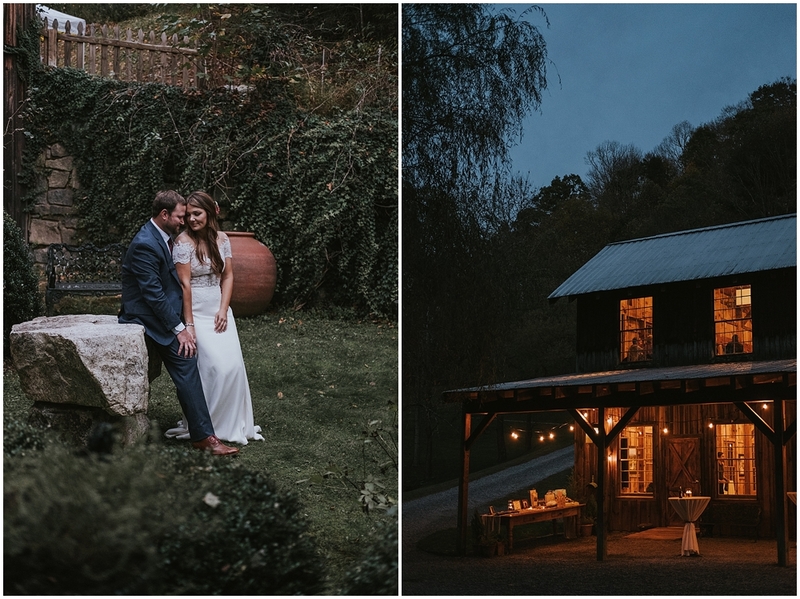 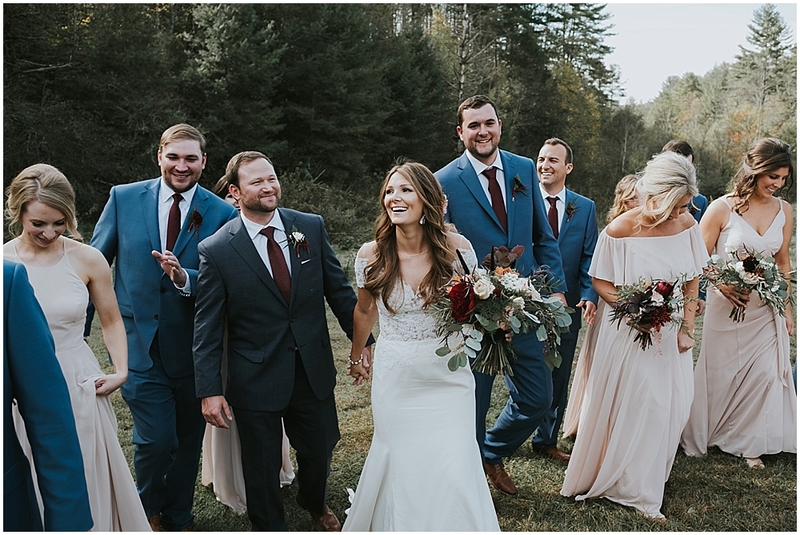 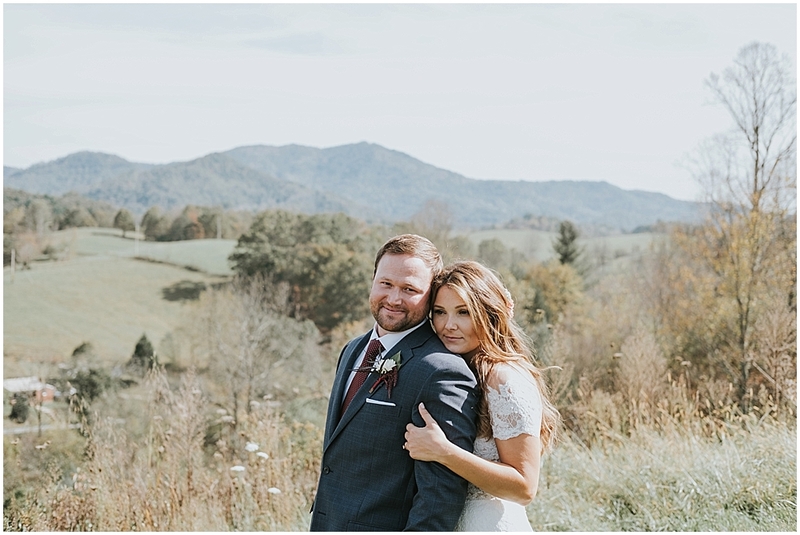 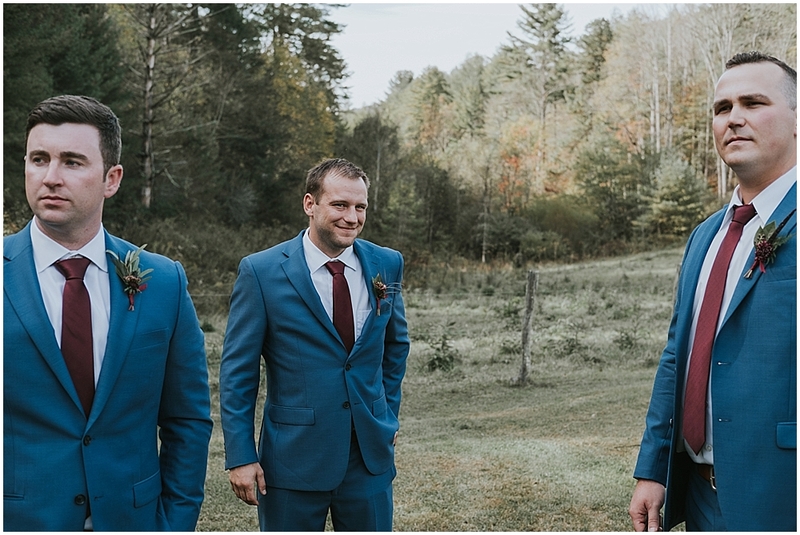 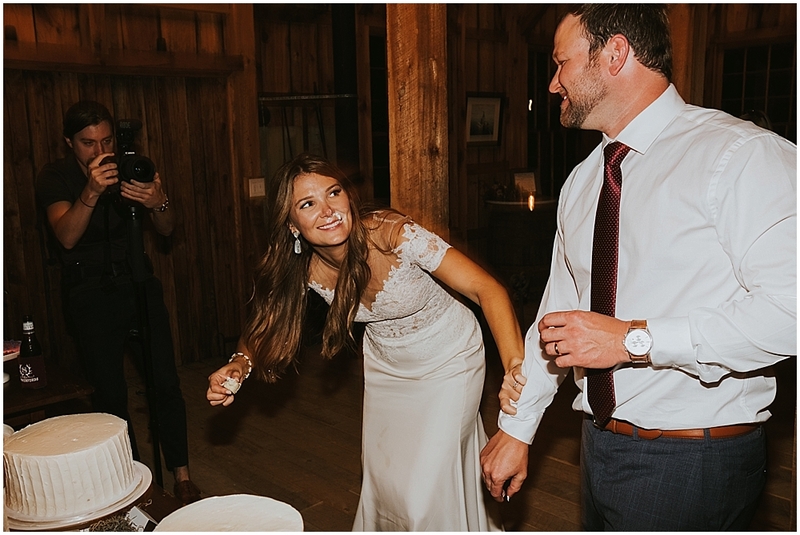 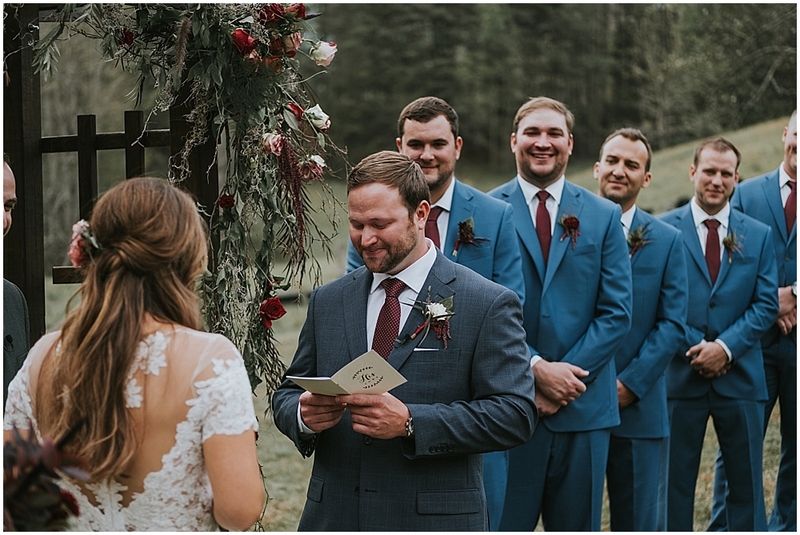 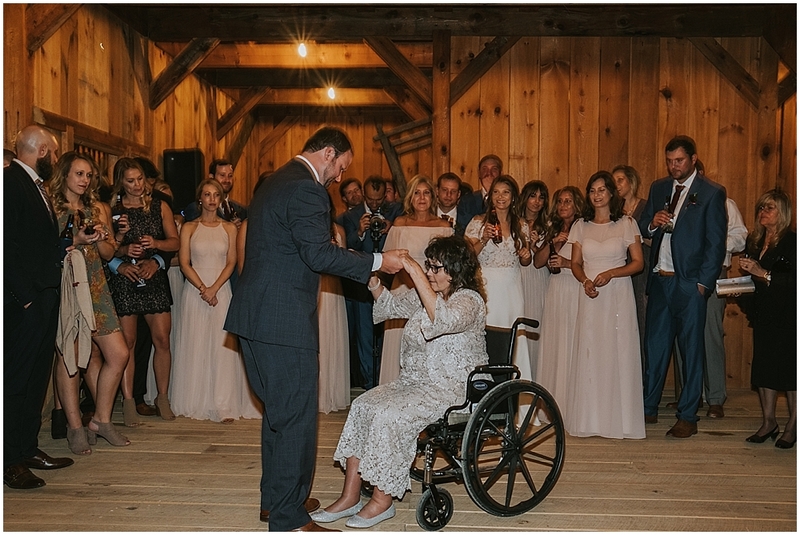 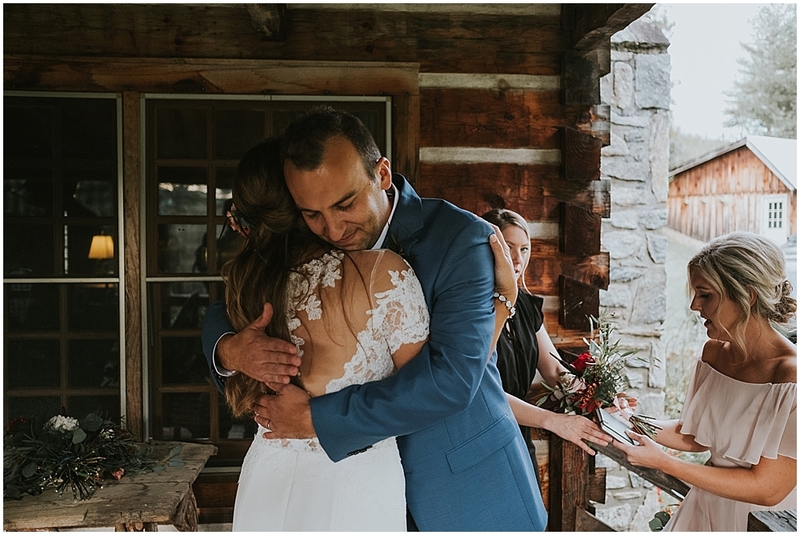 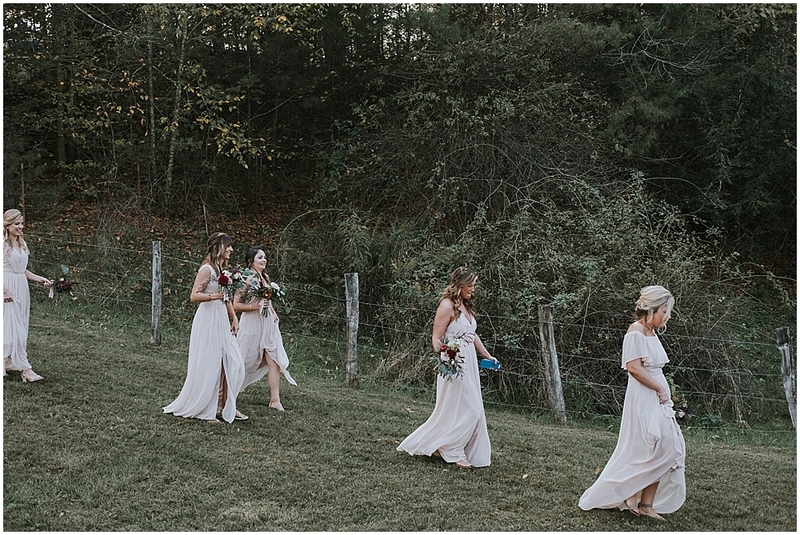 These two held their heartfelt ceremony in the valley next to the barn surrounded by the Blue Ridge Mountains. 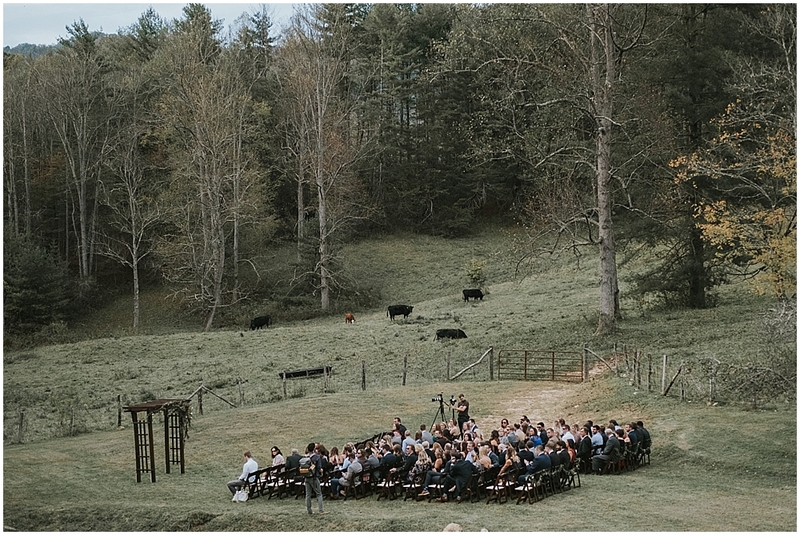 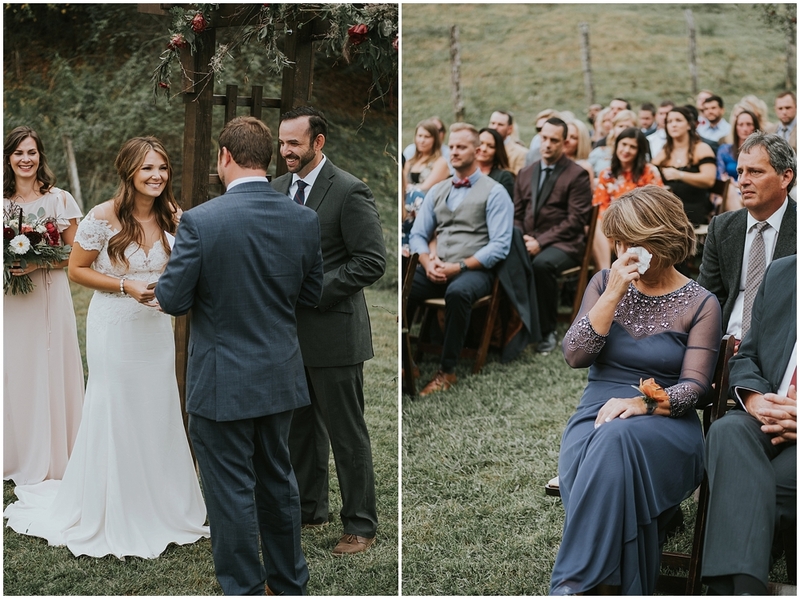 The trees rustled and cows grazed in distant hills as family looked on and watched the couple share their vows. 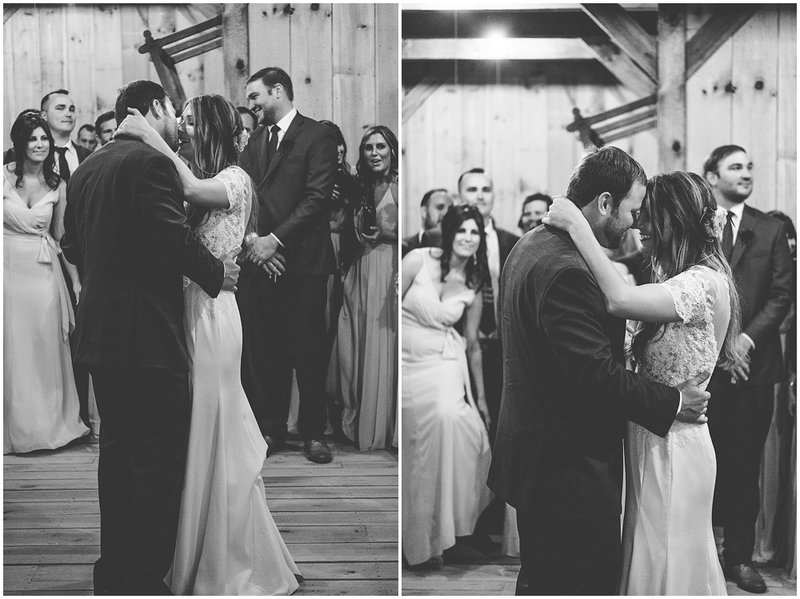 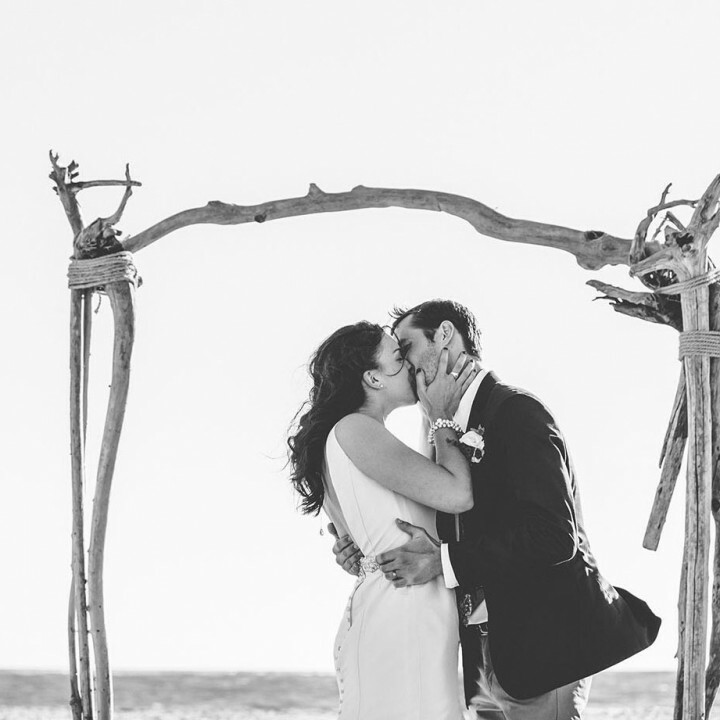 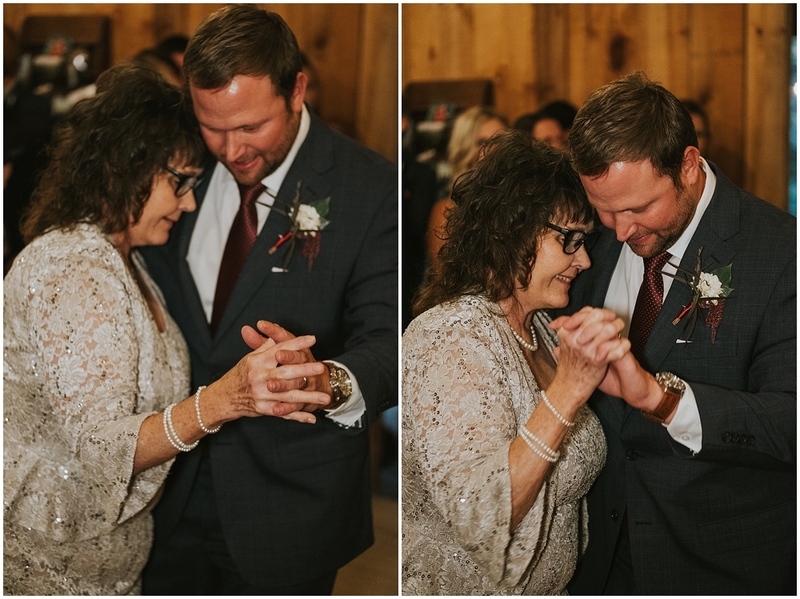 So many sweet tears were shed as these two declared their love for each other and made this lasting commitment. 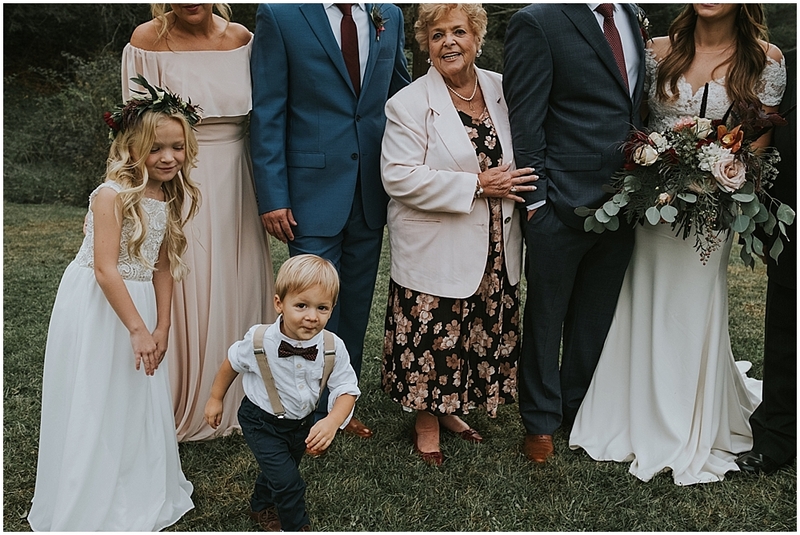 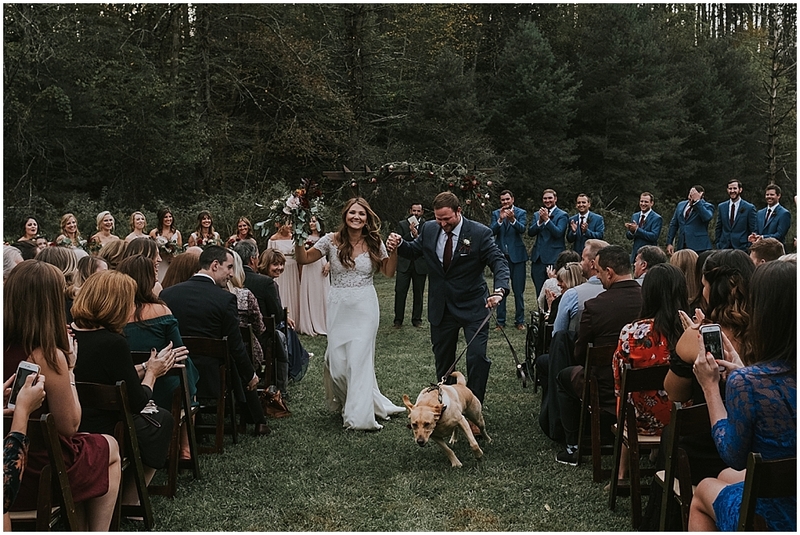 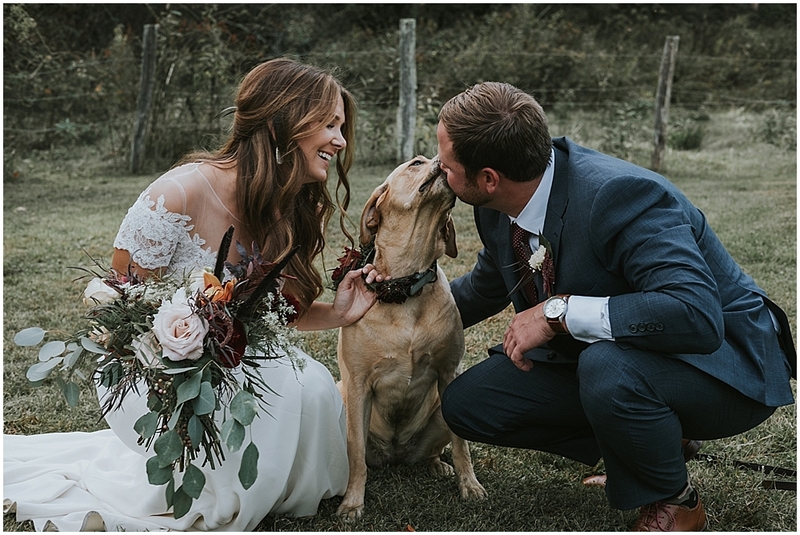 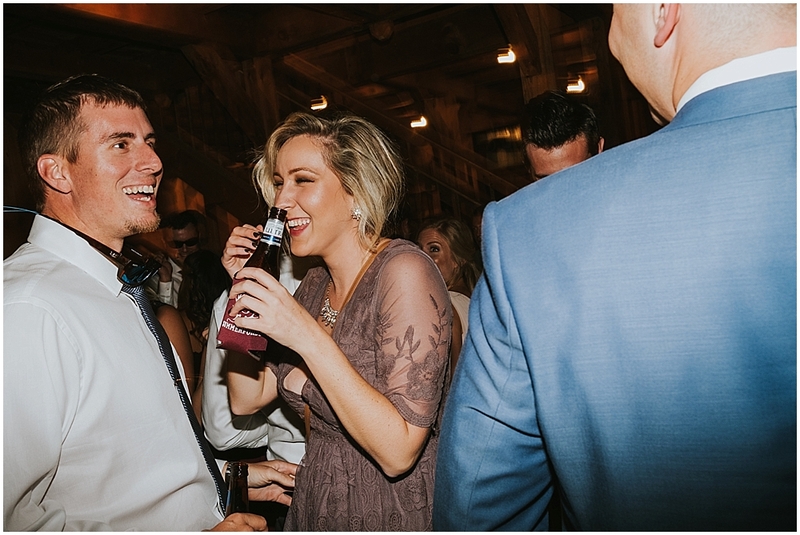 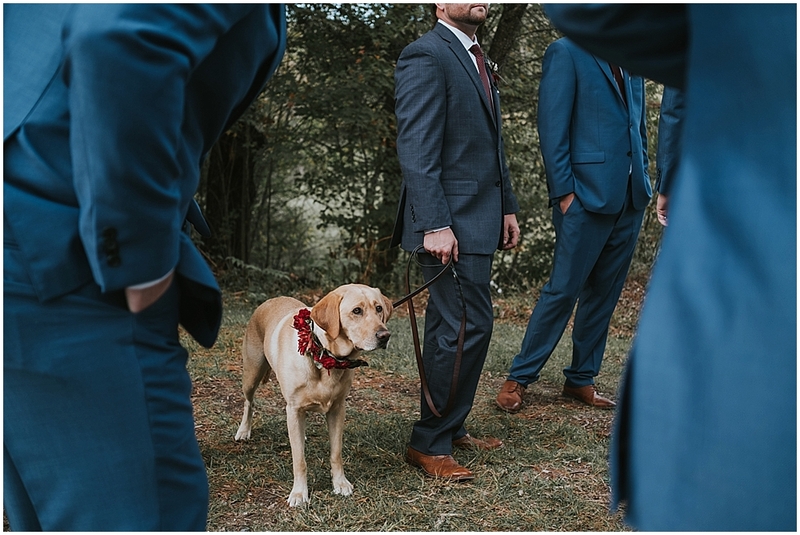 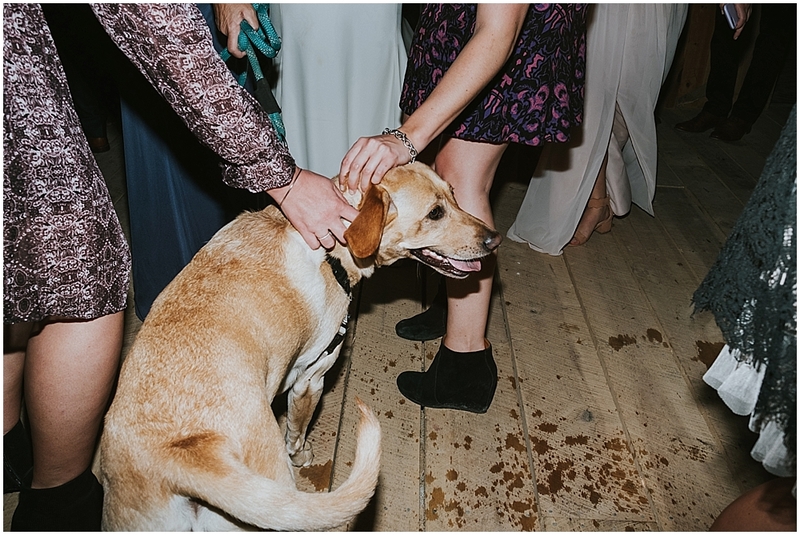 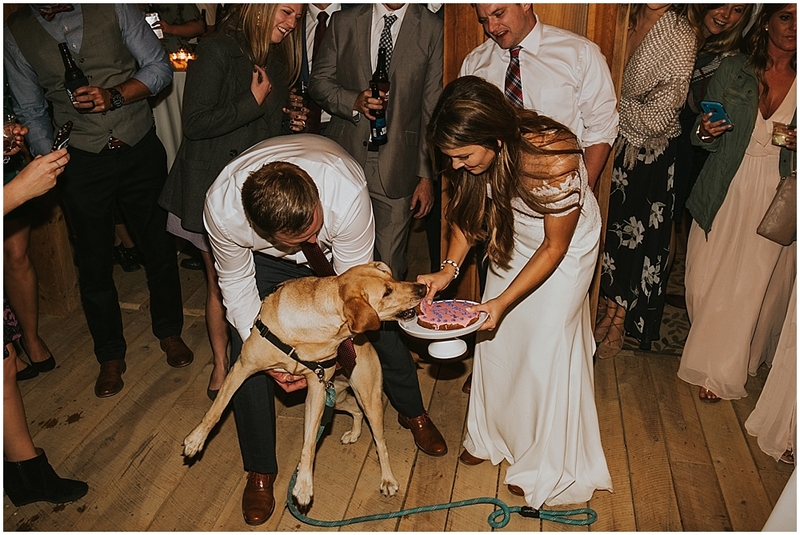 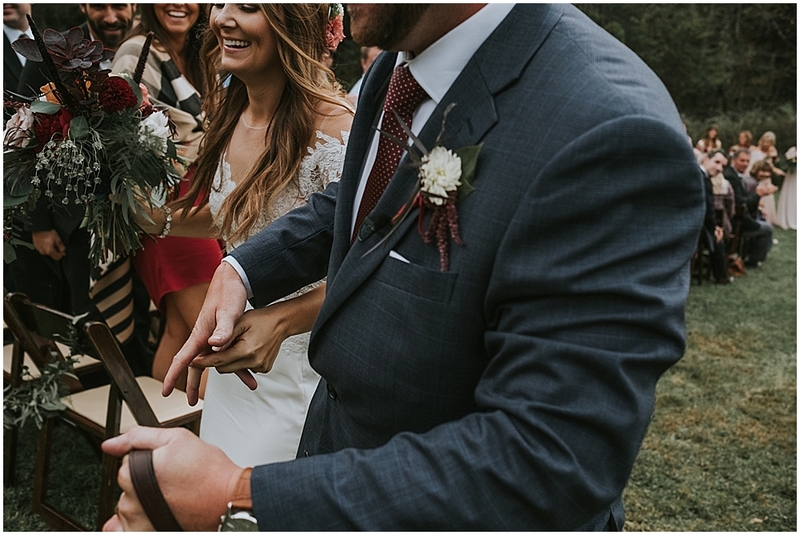 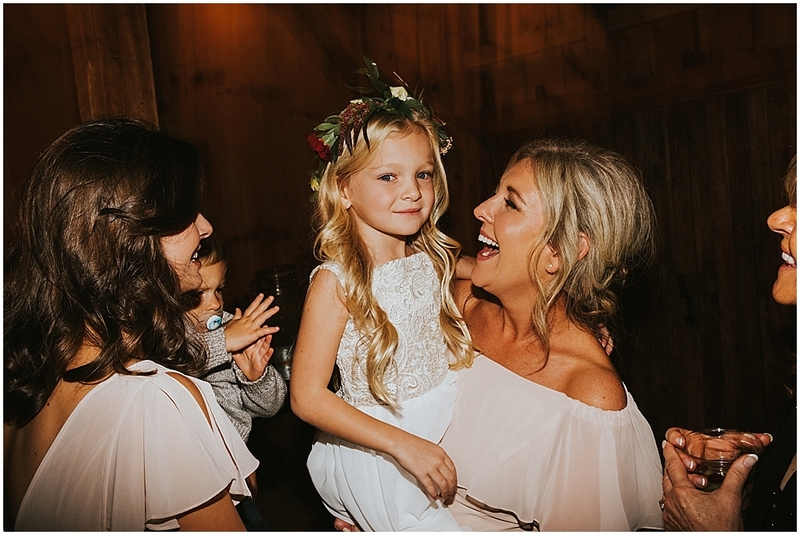 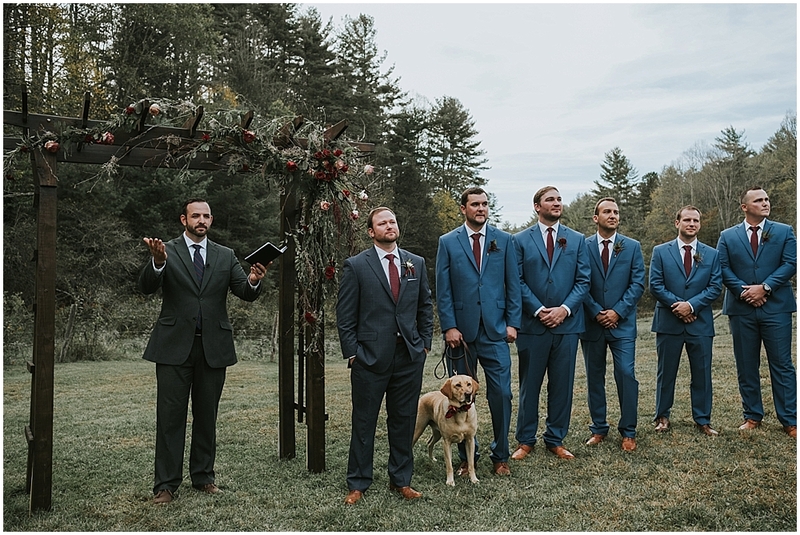 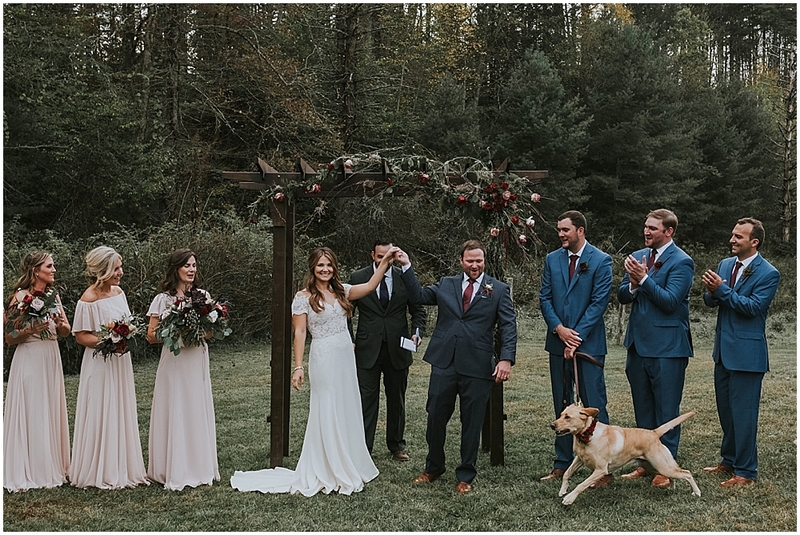 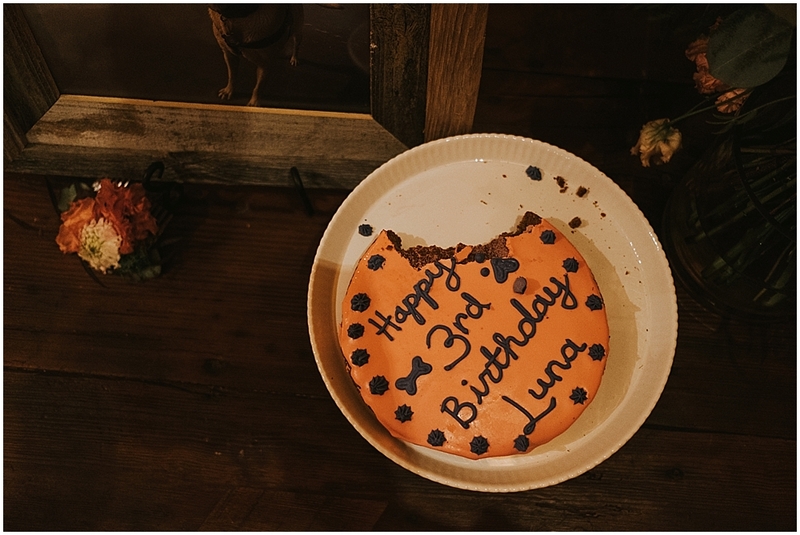 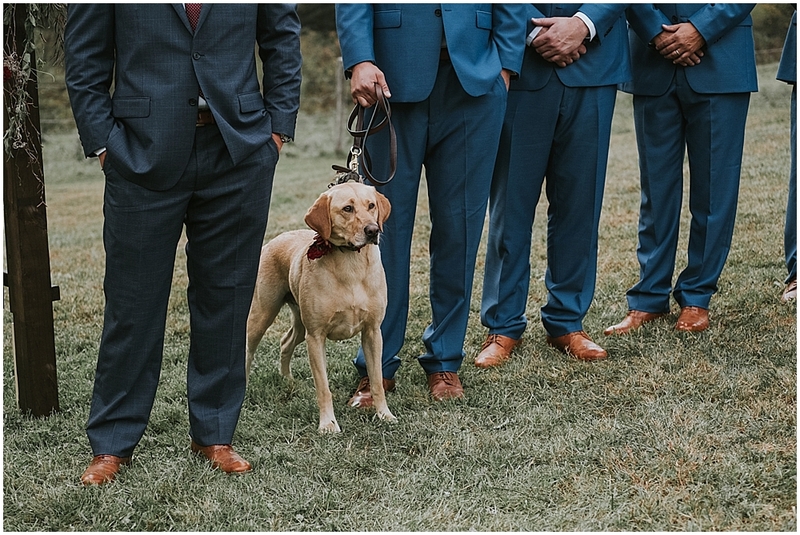 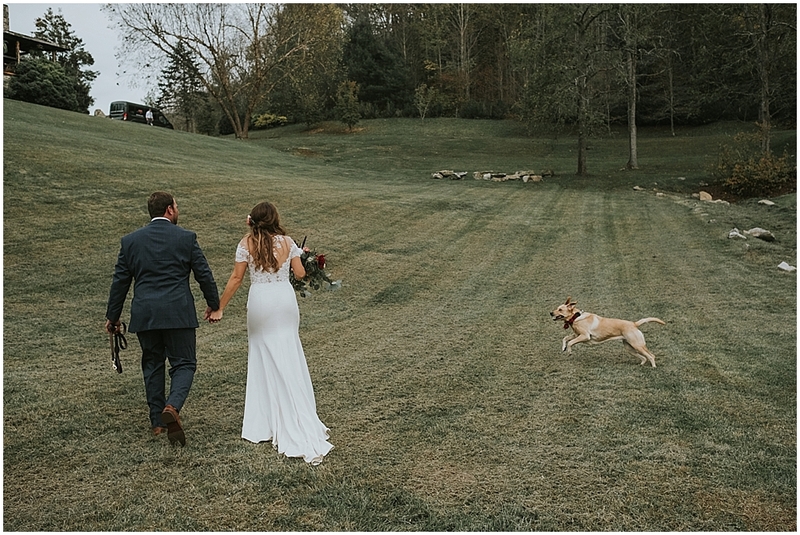 Especially excited was their VIP wedding party member- Luna, their golden lab, who also happened to be celebrating her third birthday that day. 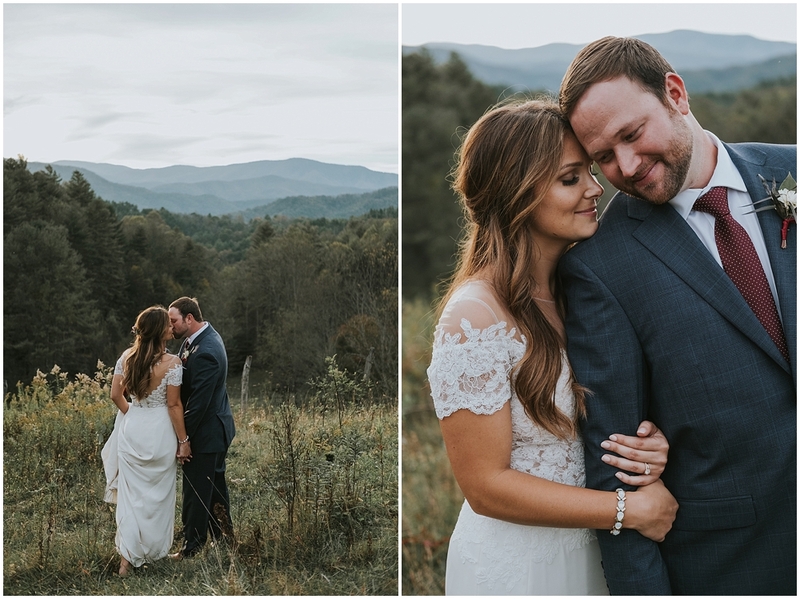 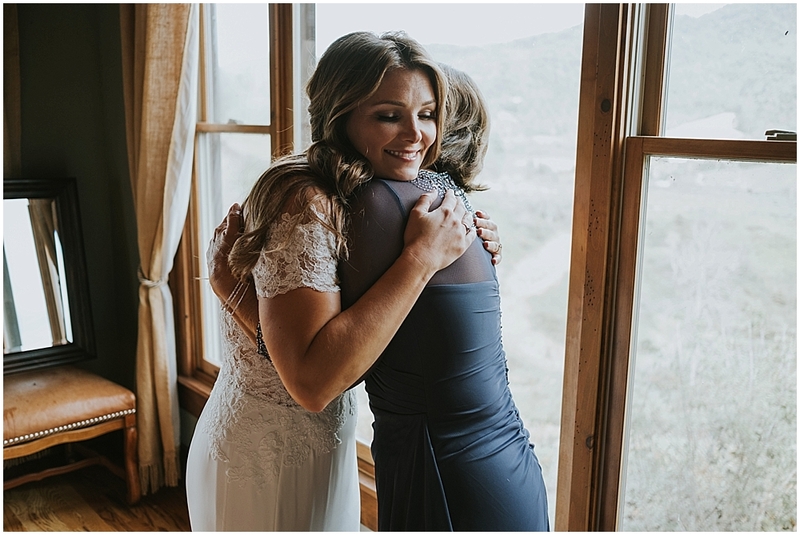 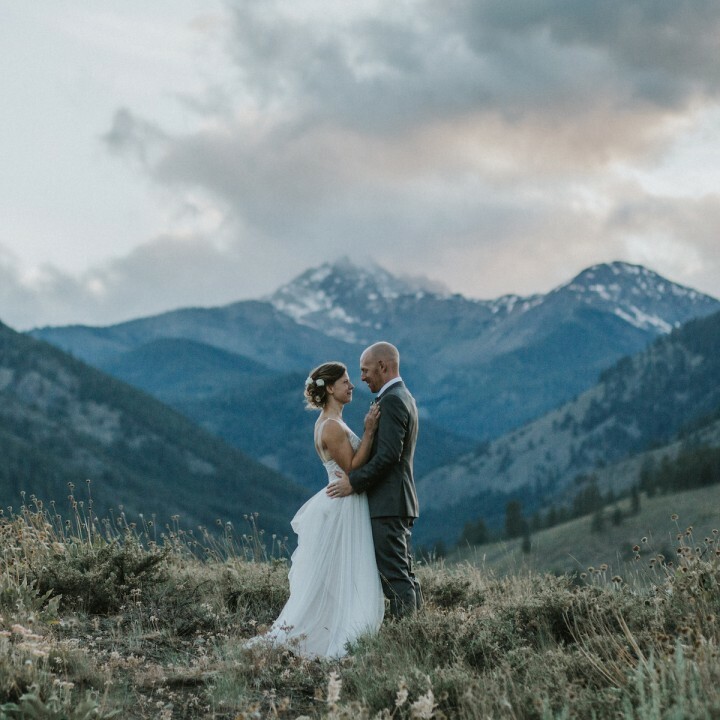 After Sarah and Ryan’s ceremony, they shared joyful hugs with friends and family, and then we headed up the mountainside for a short newlywed sunset portrait session. 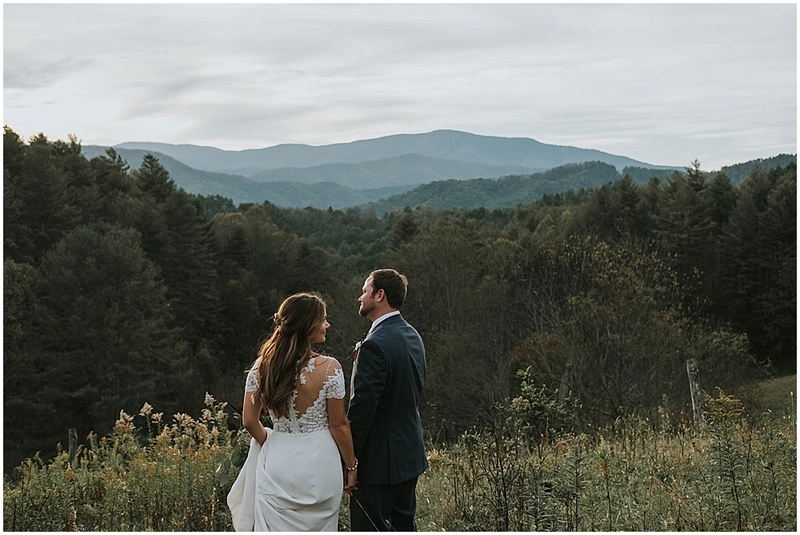 The light, the scenery, and their love was just perfect! 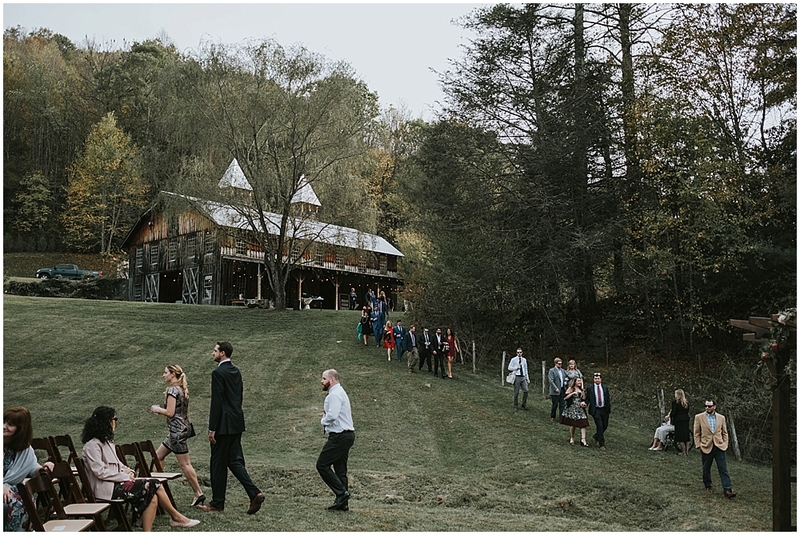 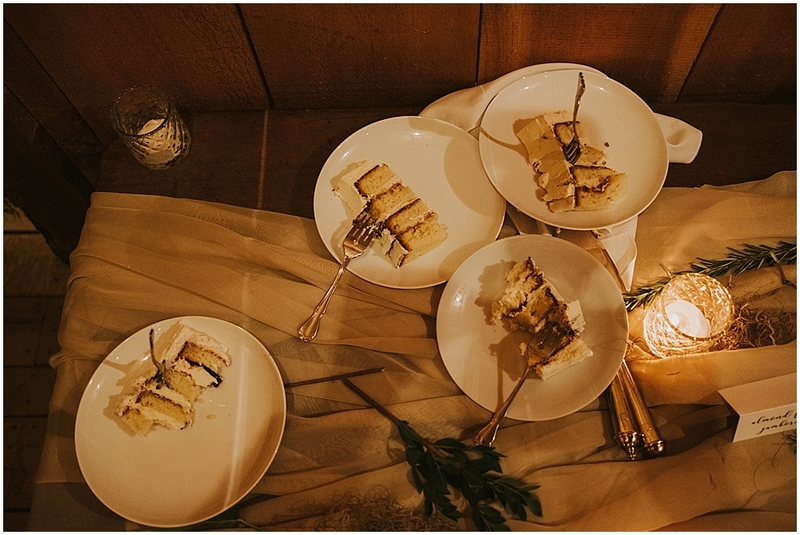 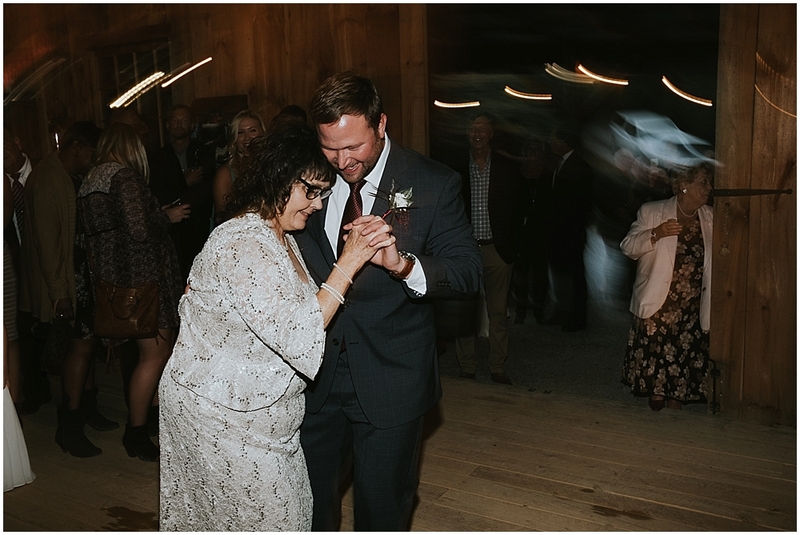 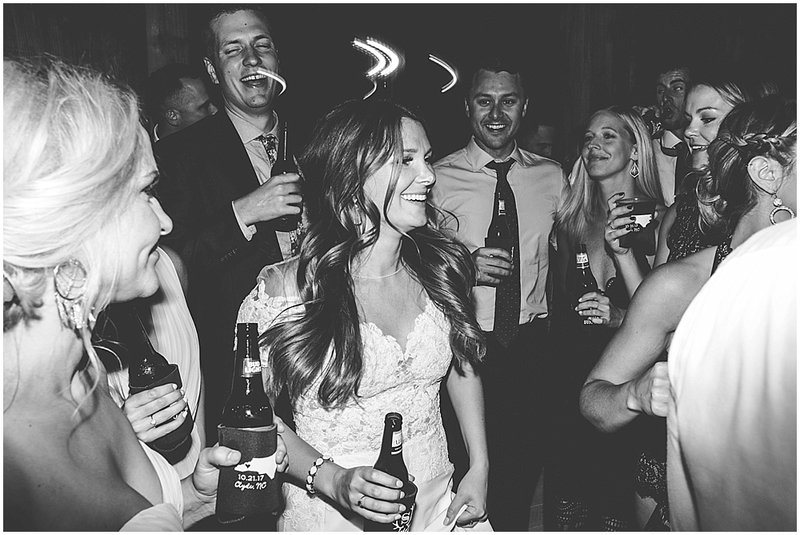 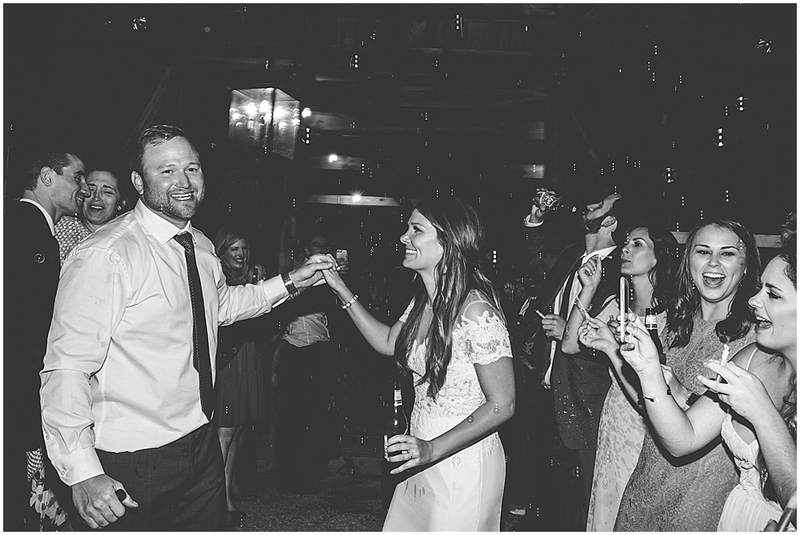 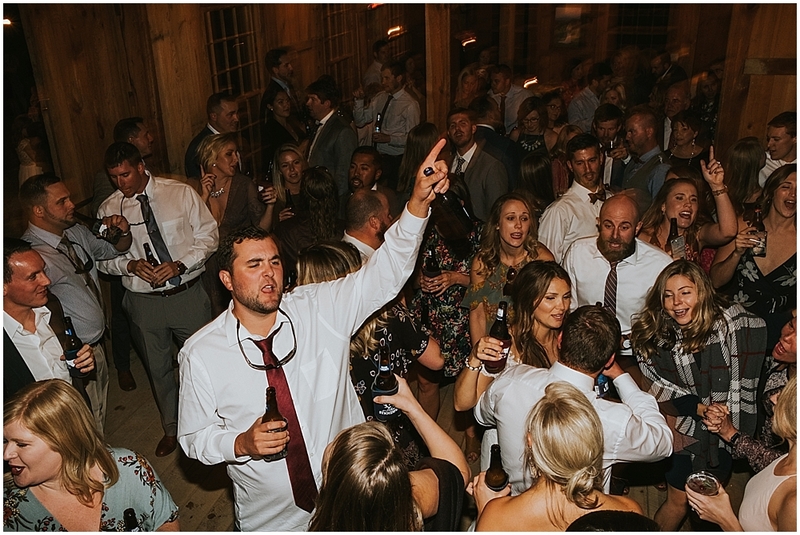 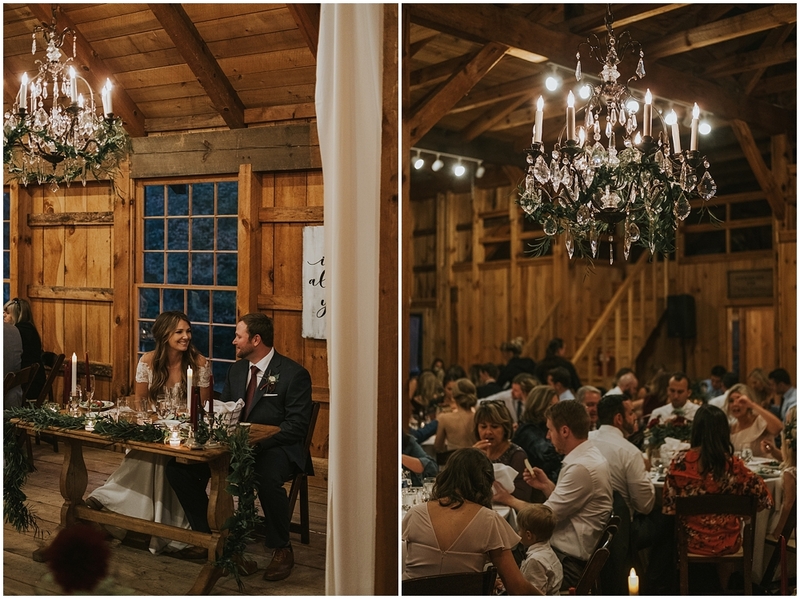 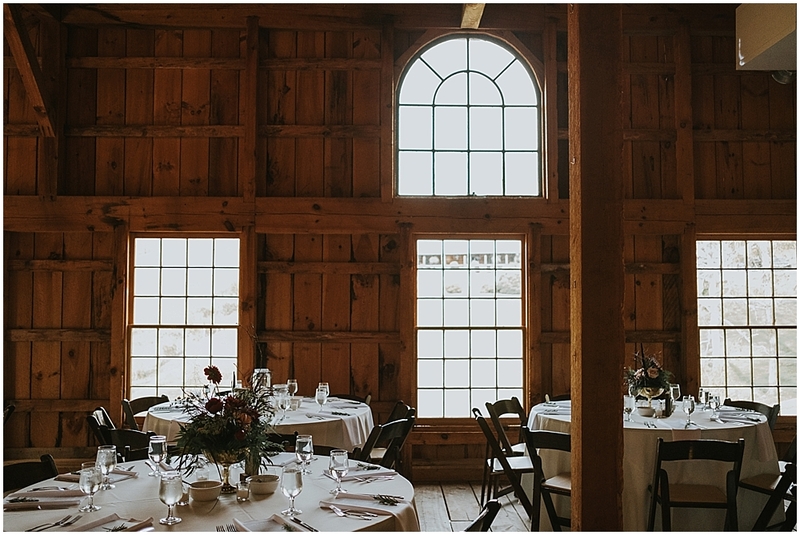 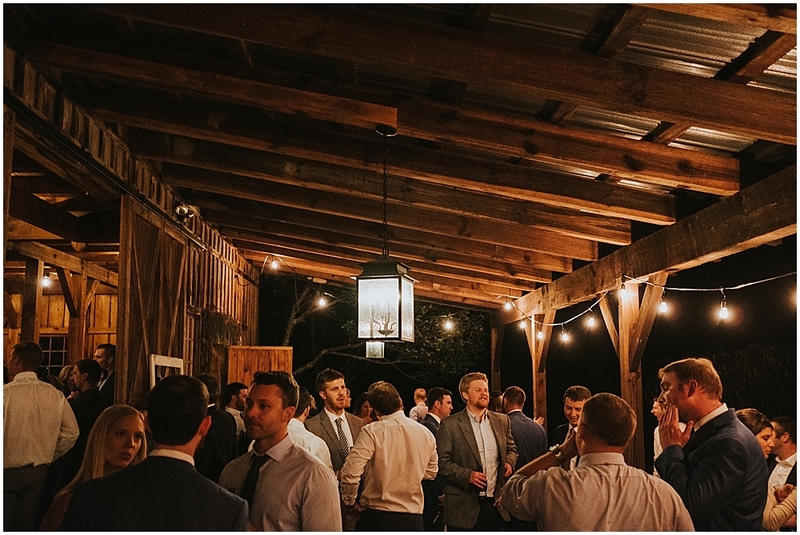 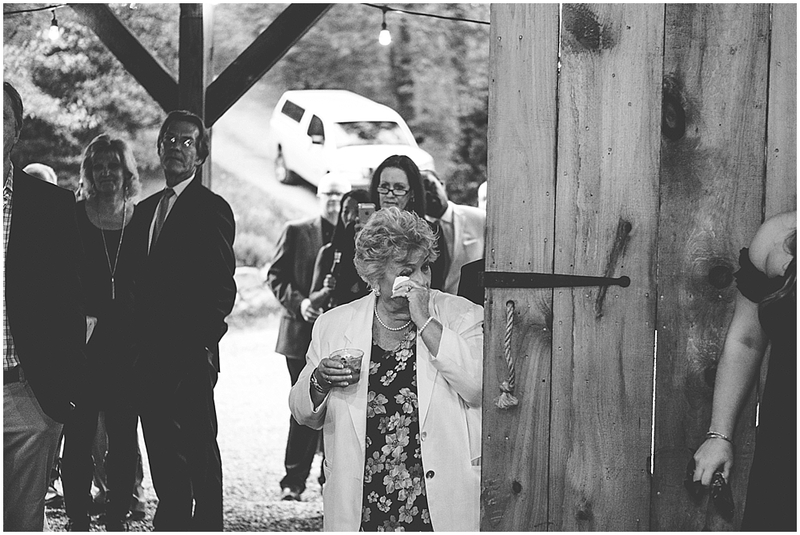 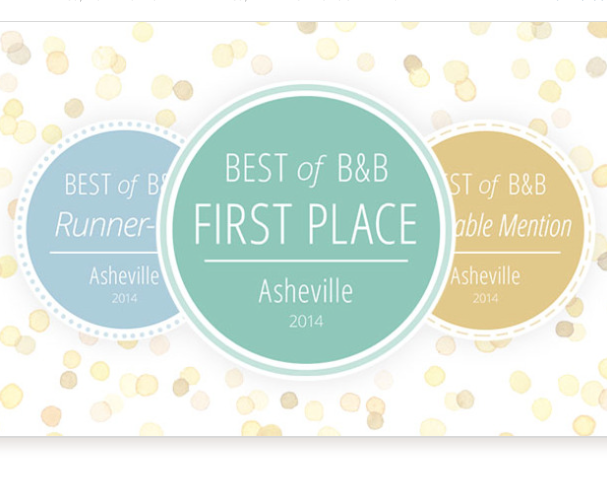 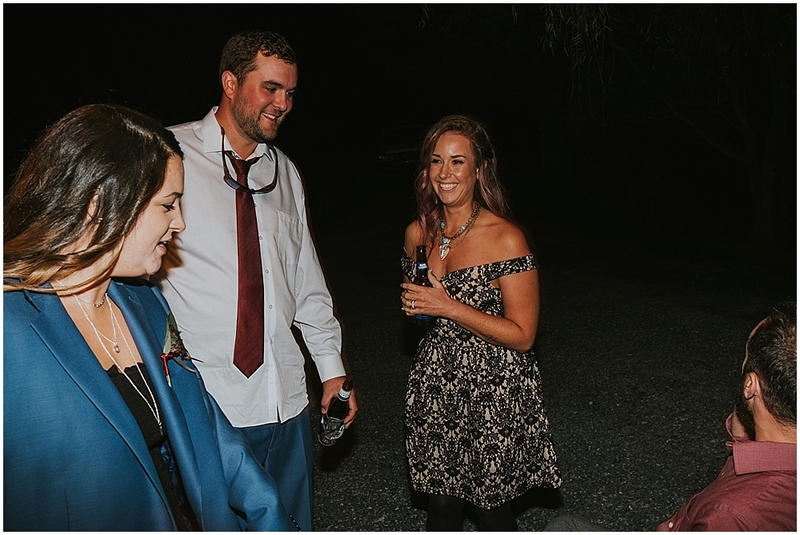 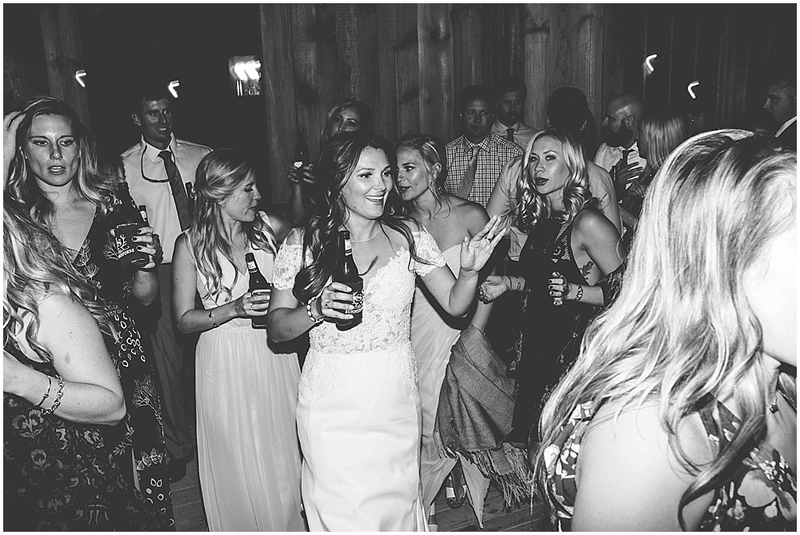 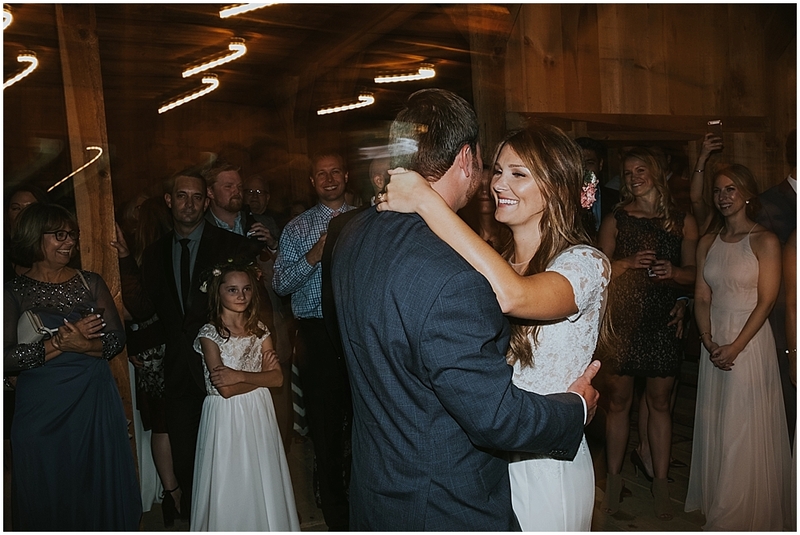 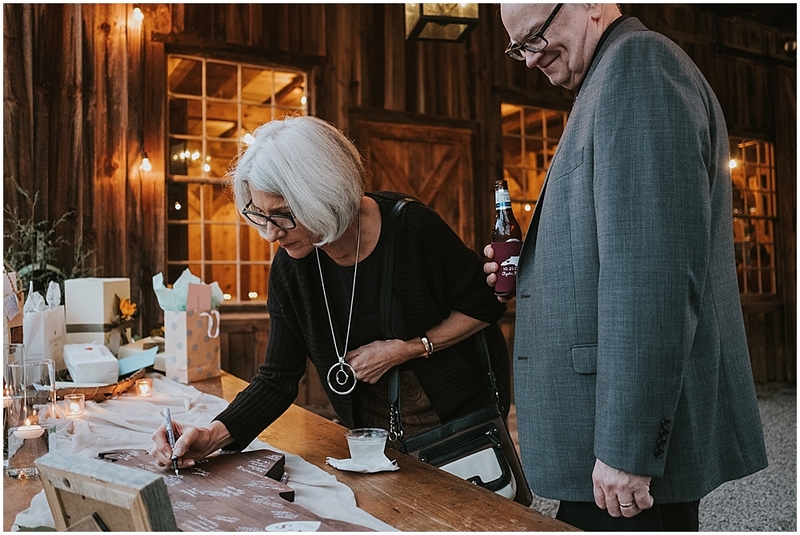 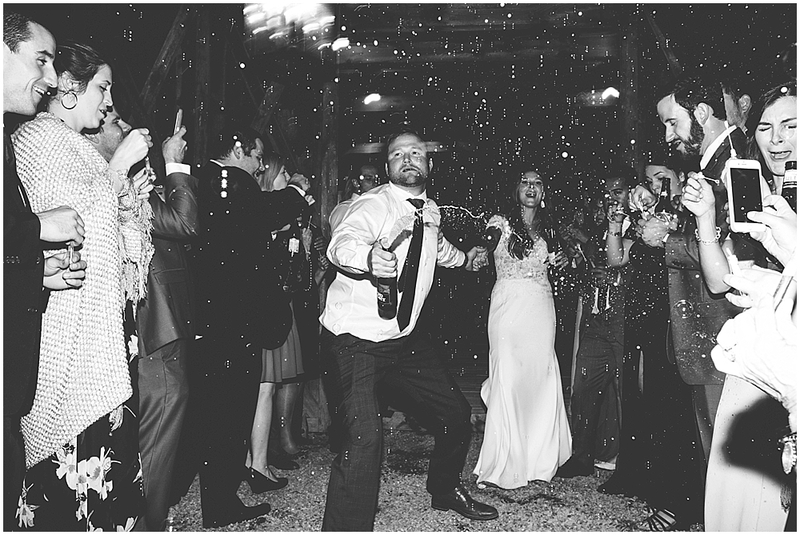 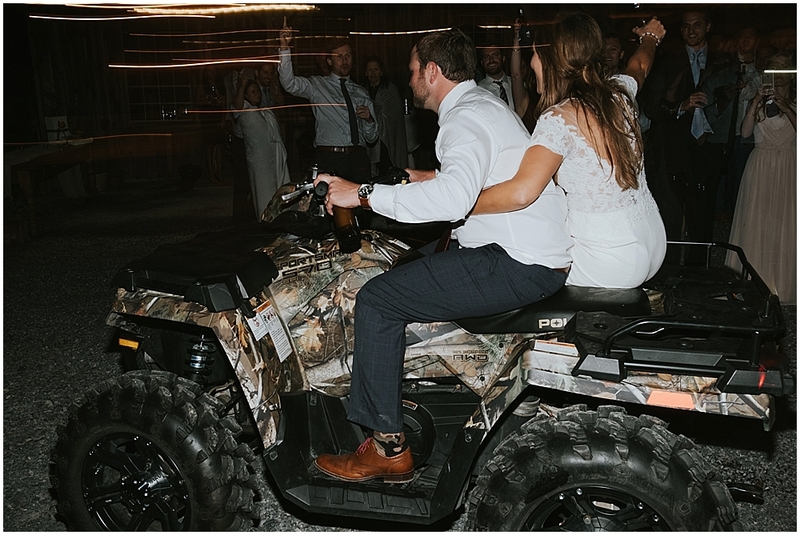 We then headed into the barn just before dusk to eat, enjoy toasts, and lots of epic dancing.